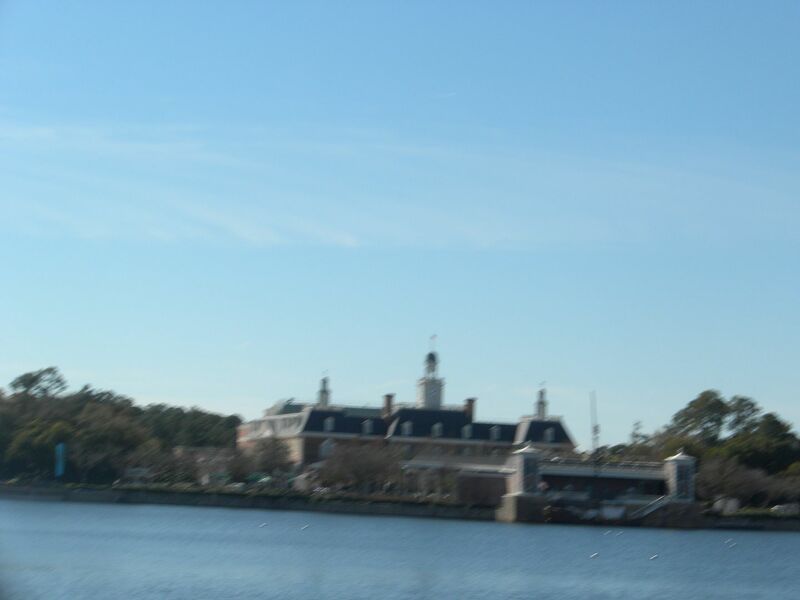 Of all the places to visit, none is more magic to me than Walt Disney World. 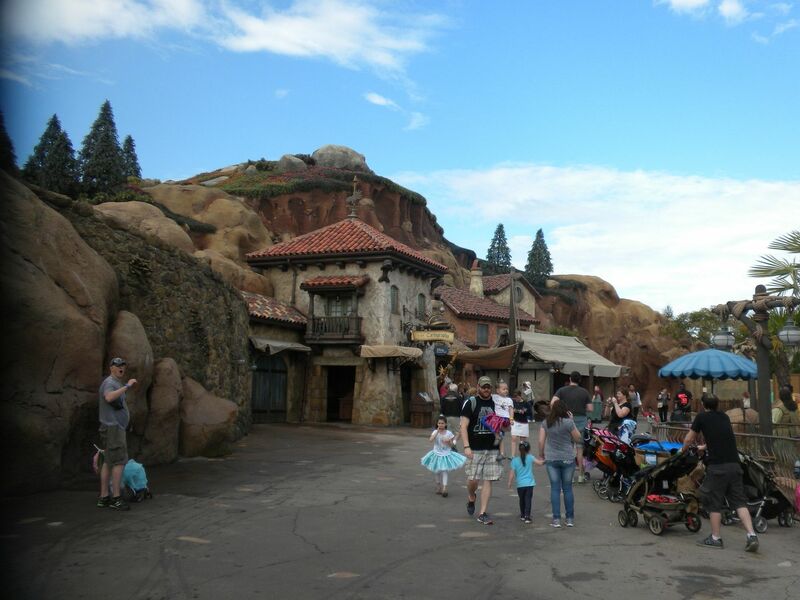 Having been numerous times as a child and several as an adult, I wanted to get back to see the completed renovation of Fantasyland. 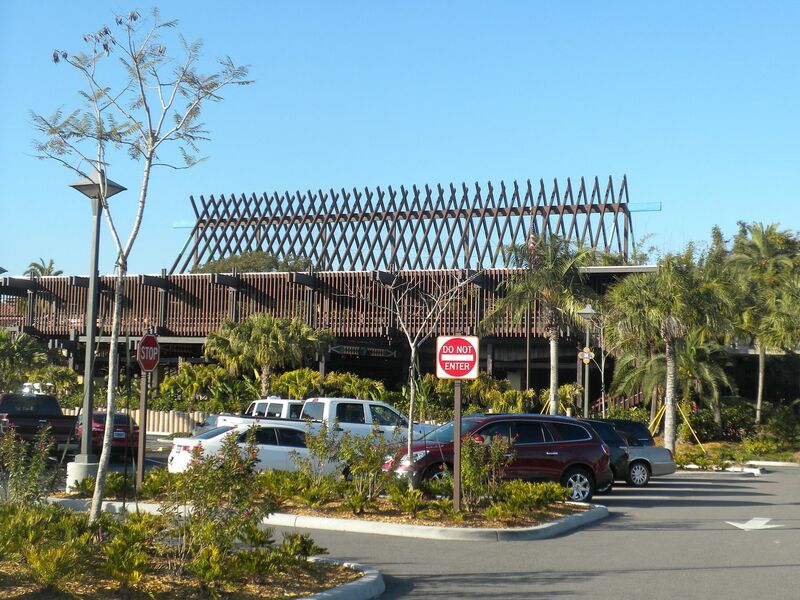 In early February, I carried my mother and we stayed at the Polynesian Village, where we usually stayed when I was a child, so that she could come and go to the parks via the monorail. We arrived on a Friday evening and spent Saturday, Sunday, Monday and part of Tuesday at the various parks. 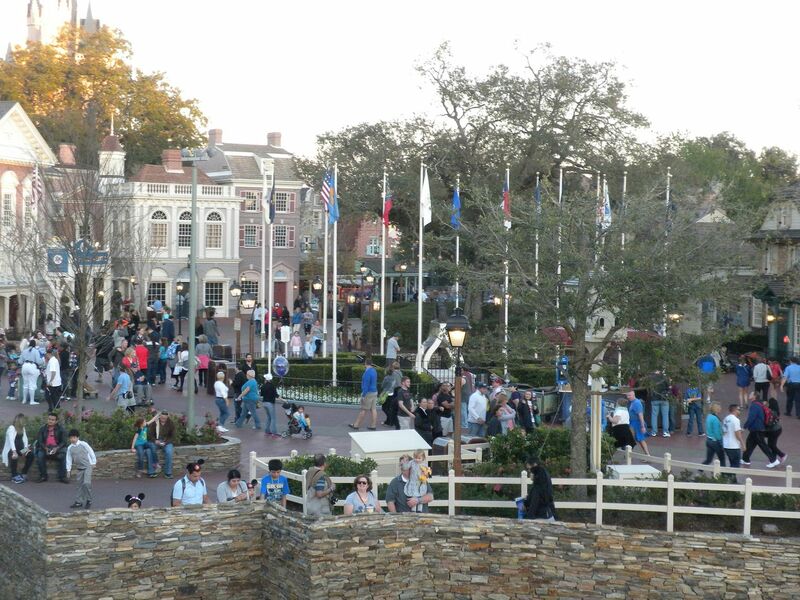 With the park hopper feature and various Extra Magic Hour sessions, we were able to get to most of the attractions. 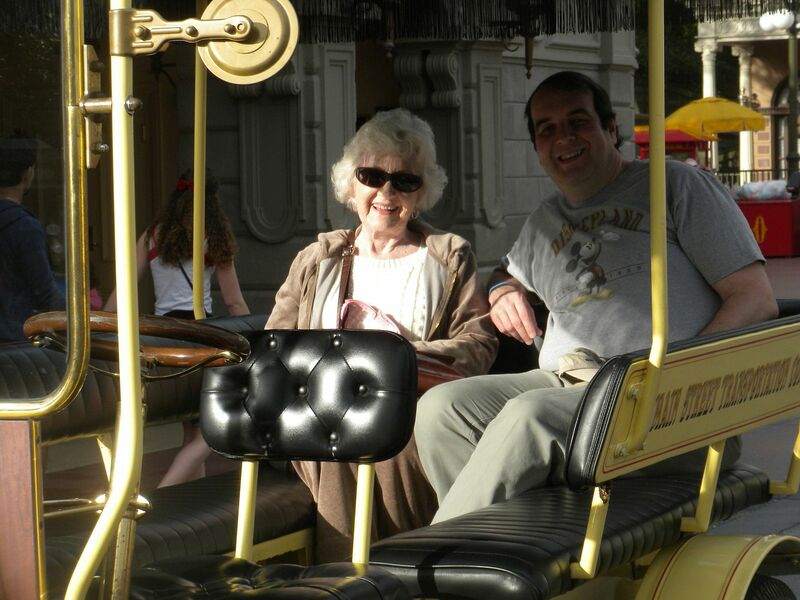 In general we went to the parks in the mornings and my mother stayed through lunch before returning to the hotel. She joined me in the evenings around dinner time. I will review the parks by section. Since this park is well-known and widely reviewed, I will keep my comments brief. 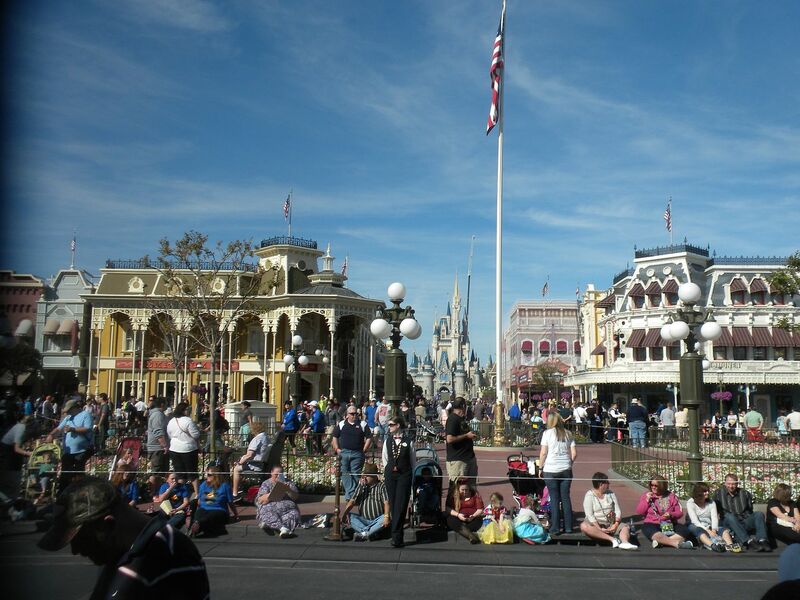 My favorite park in the world is the Magic Kingdom. From my childhood memories to the tremendous dark rides to the overall magic that permeates the park, there is no theme park that is more special to me. I spent more time at this park on this visit than at any other. 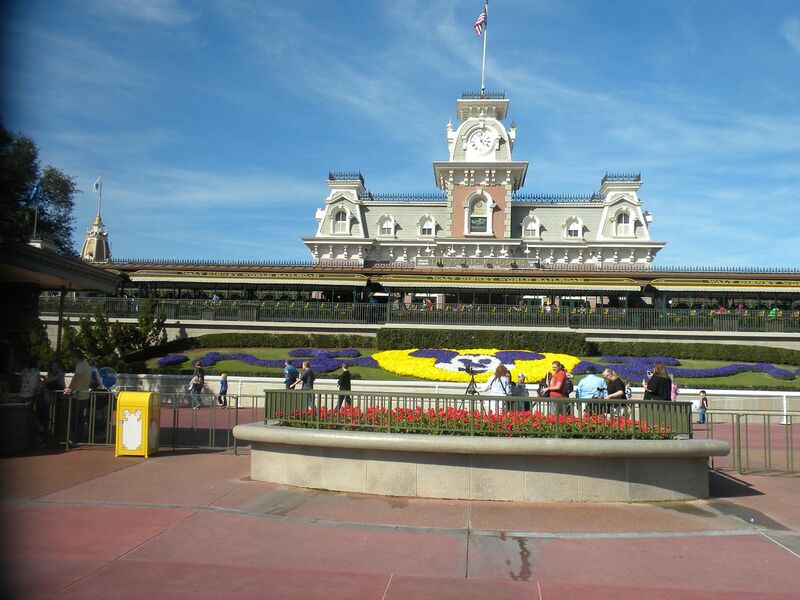 This quintessential Disney entry section sets the stage for a magical day. 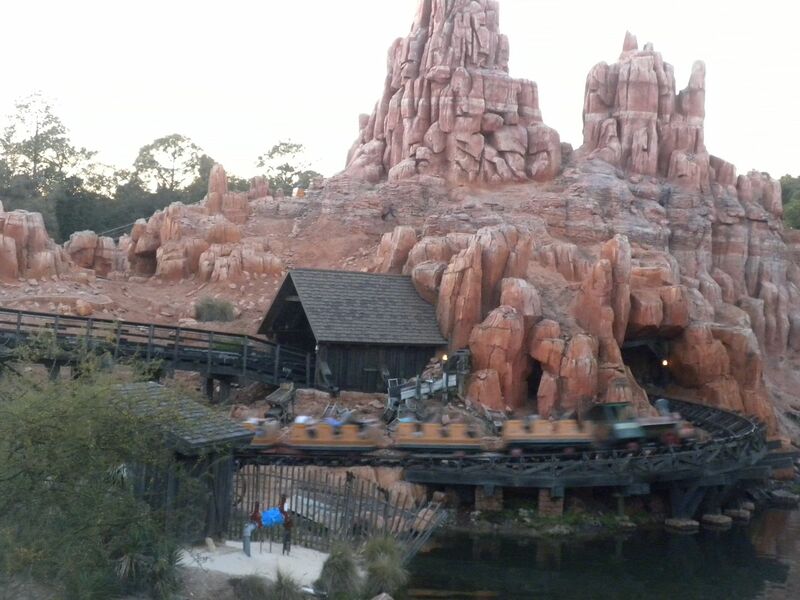 Walt Disney World Railroad: 1 trip to Frontierland. 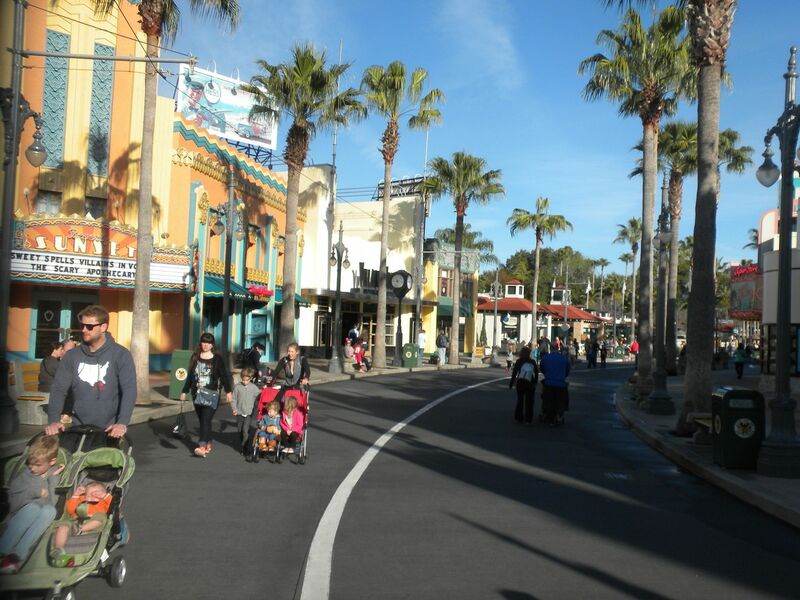 Main Street Vehicles: A good way to get from one end of Main Street to the other, they now only operate for a short time in the morning – 1 ride. We had a good dinner one evening at Tony’s Italian Restaurant. 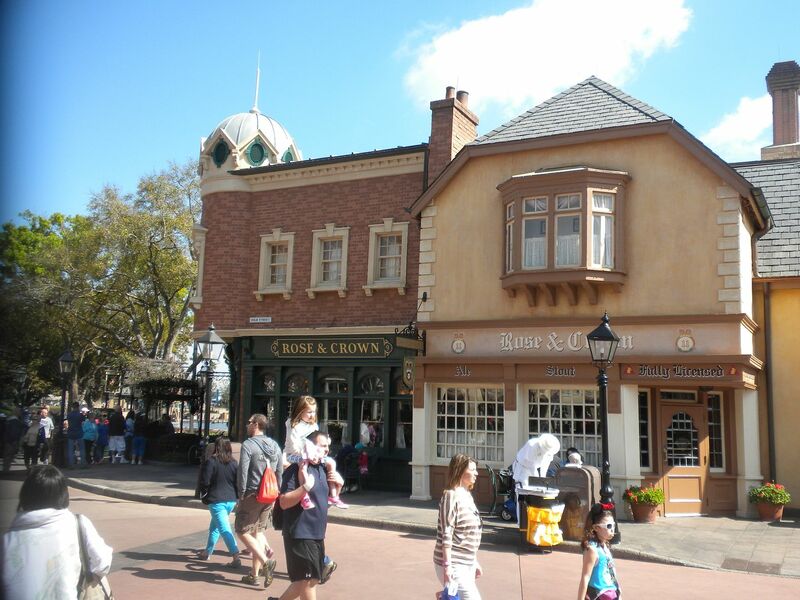 The theming of this section has always been most impressive to me, beckoning visitors to faraway, exciting lands. 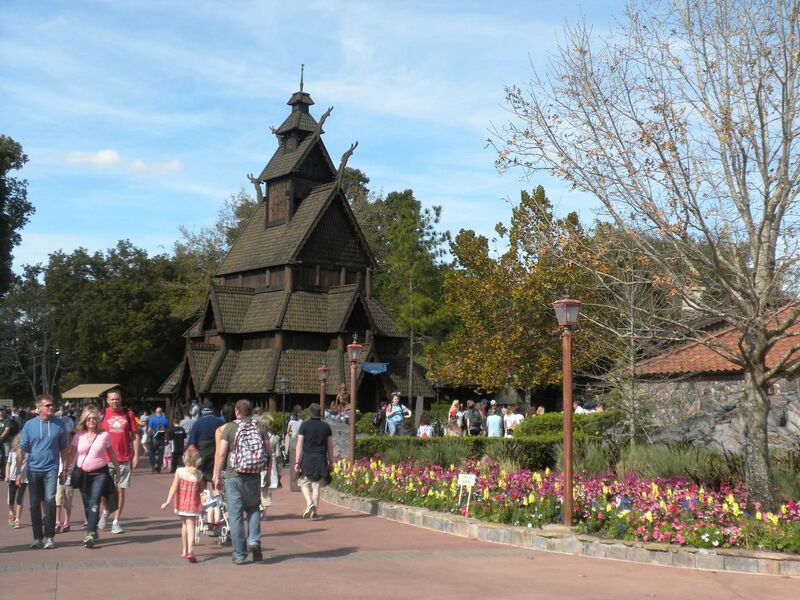 Swiss Family Treehouse: I have always been fascinated by this attraction and am glad it retains its original theme – 1 walkthrough. Jungle Cruise: Another classic Disney attraction with the same classic corny jokes – 1 ride. Pirates of the Caribbean: This is my second favorite dark ride anywhere, and it is still as good as I remembered it – 2 rides. 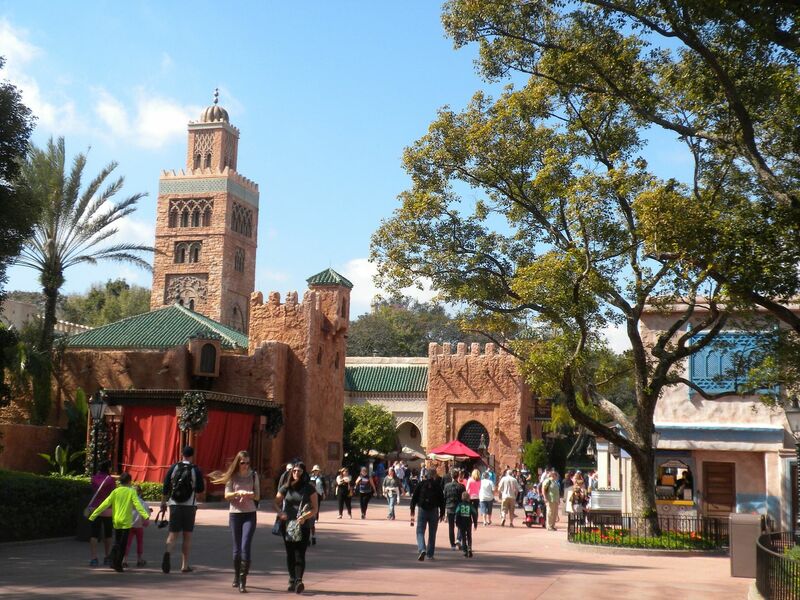 The Magic Carpets of Aladdin: The newest ride in this section fits in well – 1 ride. Walt Disney’s Enchanted Tiki Birds: While not my favorite attraction, it is quite amazing to see so many animatronic birds – 1 show. 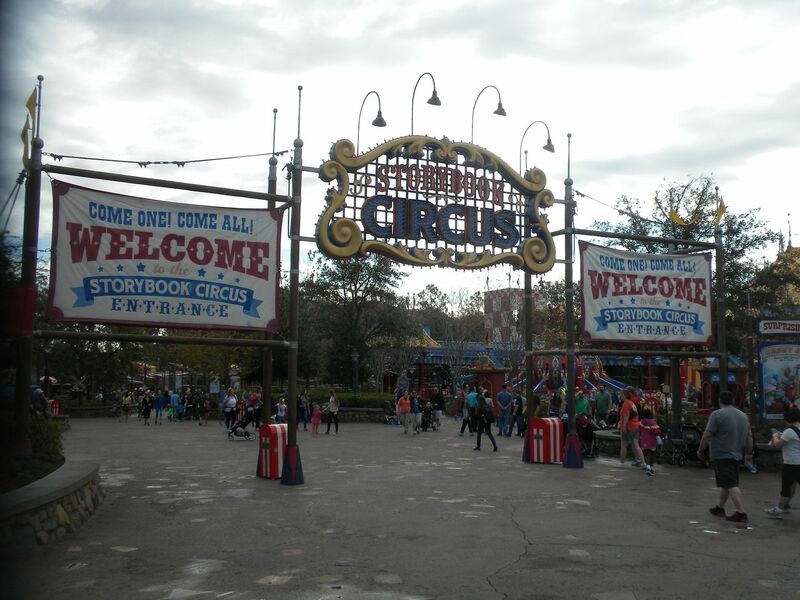 Another well themed section, it has several top attractions. 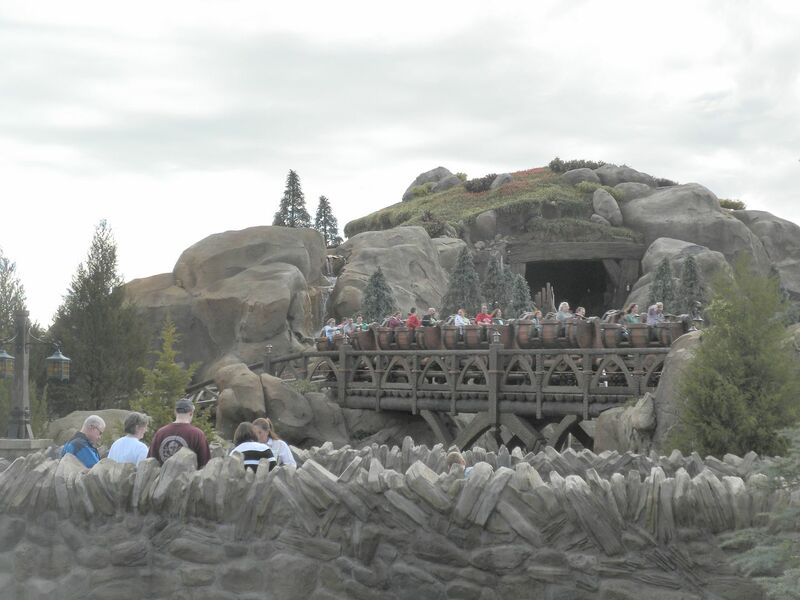 I was lucky enough to get night rides during the fireworks both nights I was at the park, a truly magical experience for arguably the best mine train – 4 rides. 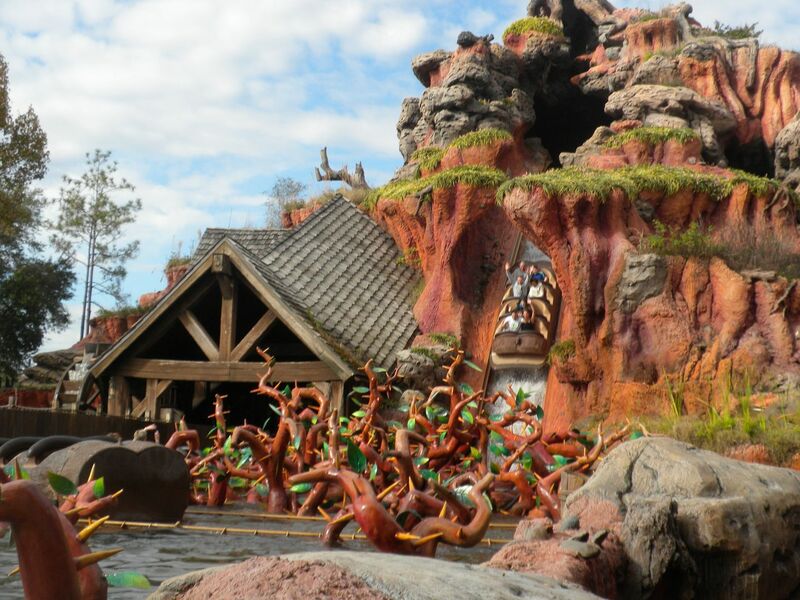 Splash Mountain: I always enjoy this ride as it reminds me of SFOG’s Tales of the Okefenokee – 1 ride. 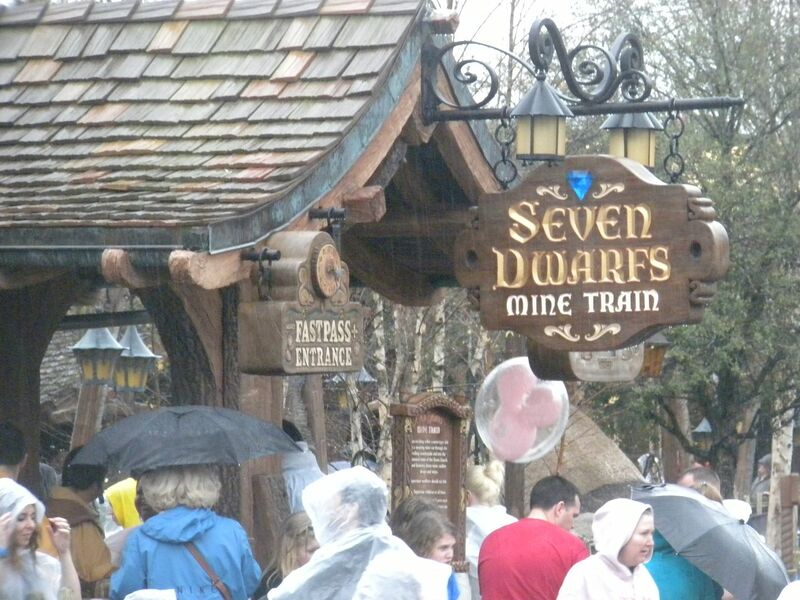 Walt Disney World Railroad: There are some good scenes along this route – 1 ride to Fantasyland. 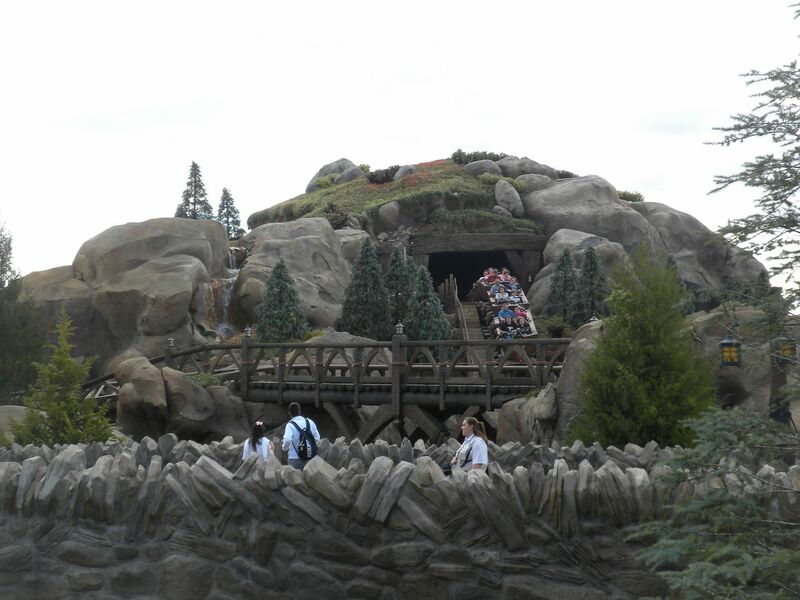 Tom Sawyer Island: This island is fun to explore at any age, plus you get the raft trip over and back – 1 round trip. 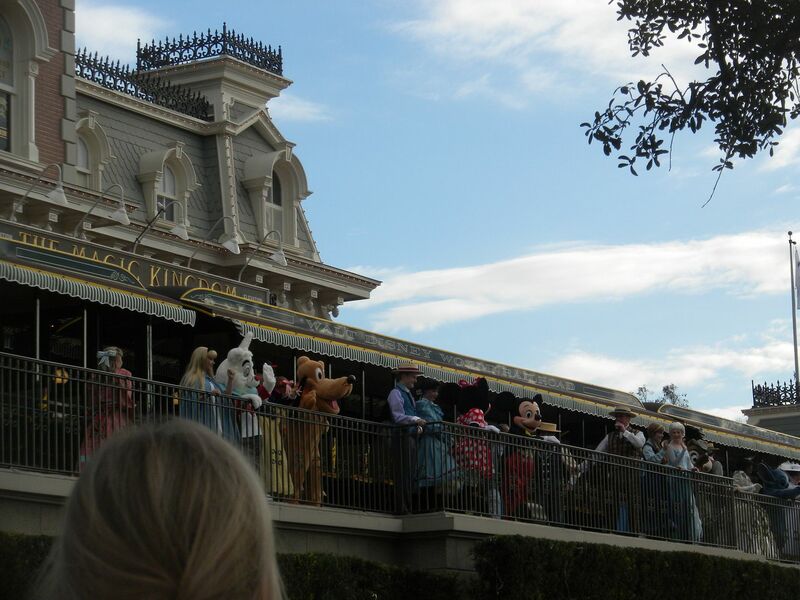 Country Bear Jamboree: It has been a while since I have been to this show. It was fun – 1 show. 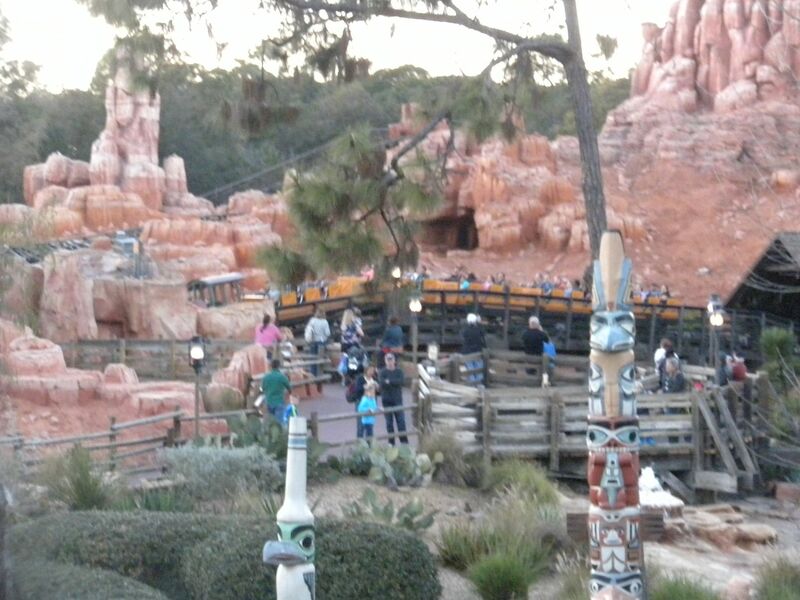 We had a good quick dinner at Pecos Bill’s. This section is unique to the Magic Kingdom and is home to my favorite attraction. 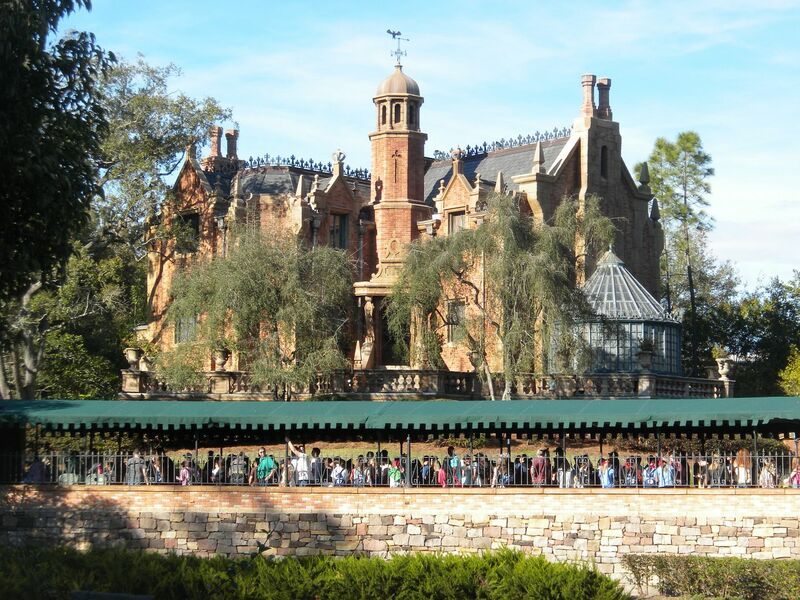 Haunted Mansion: My number one dark ride and favorite Disney attraction (even ahead of coasters), this ride fascinated me as a child and inspired a number of haunted houses I helped with as a child and adult. I still can’t get enough of it. 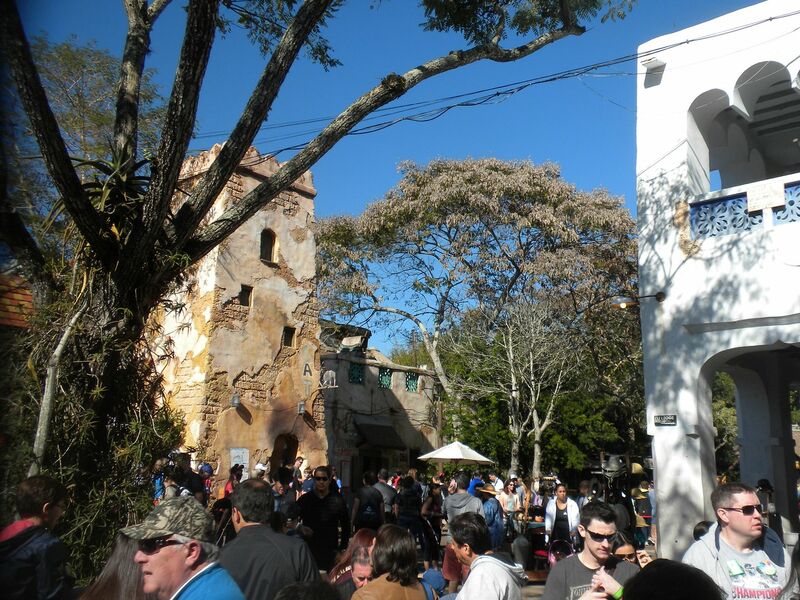 I love the interactive queue – 3 rides. 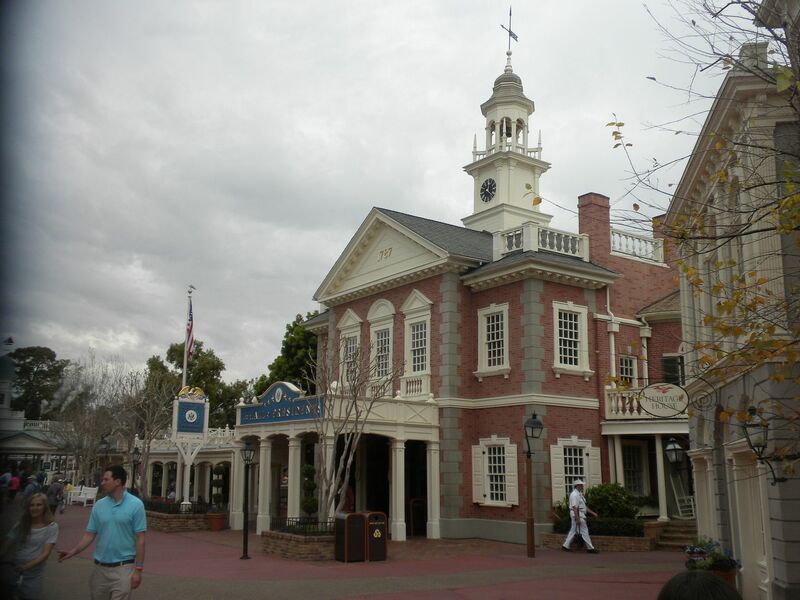 Liberty Square Riverboat: Another older ride rarely seen in parks today, I am glad it is still here – 1 ride. The Hall of Presidents: It is always interesting to see this as new presidents are added – 1 show. After receiving a major makeover, I was looking forward to seeing all the changes. 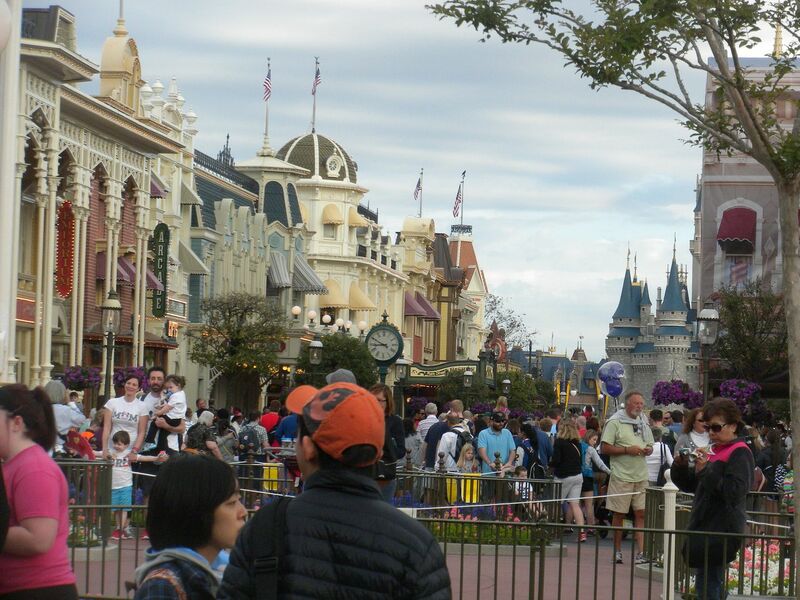 Everything looks very nice and the Beauty and the Beast Castle in the distance is impressive. I am very impressed with this ride. The swinging motion, though not overly noticeable, is a nice feature. For a family type coaster, it packs a punch and the darkride sections are good. 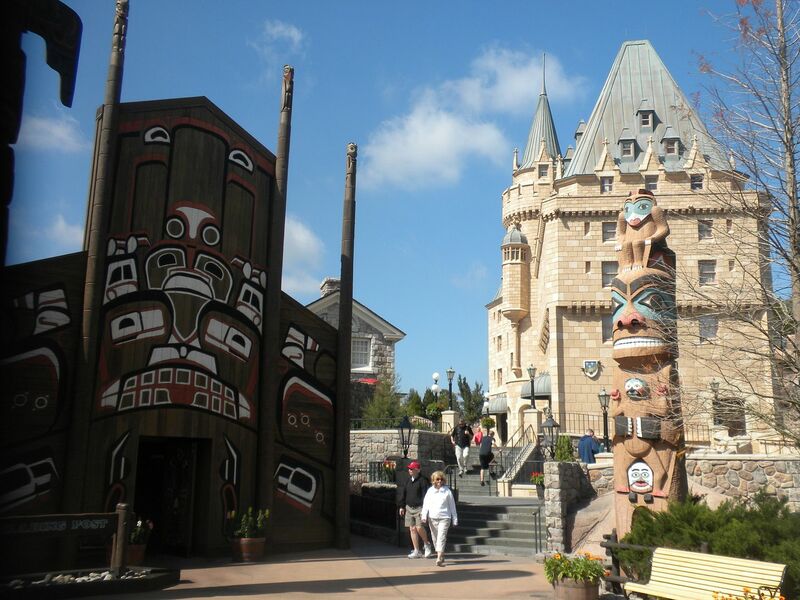 The witch is downplayed in this ride as compared to the old darkride. Here she is at the door at the end. My only negative comment is that I hate to have lost the classic darkride. Even so this is a great addition to the park. 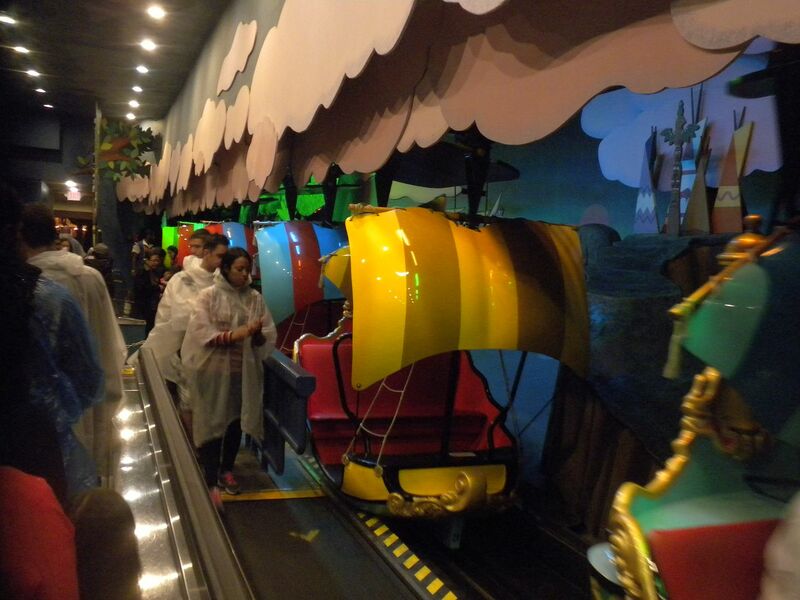 I also like the interactive queue – 4 rides. 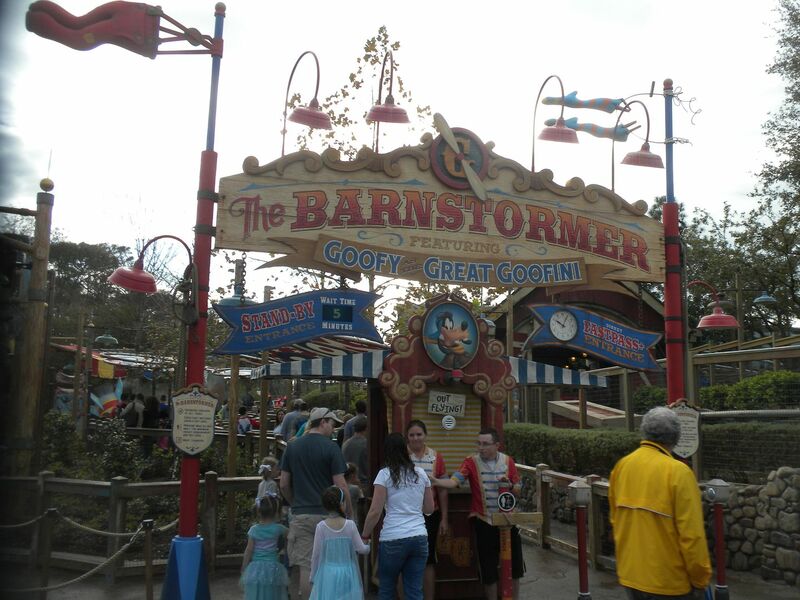 The Barnstormer: (Vekoma, Family Coaster, 1996) – 1 good ride. Peter Pan’s Flight: This is my third favorite darkride in this park and it is still just as good. 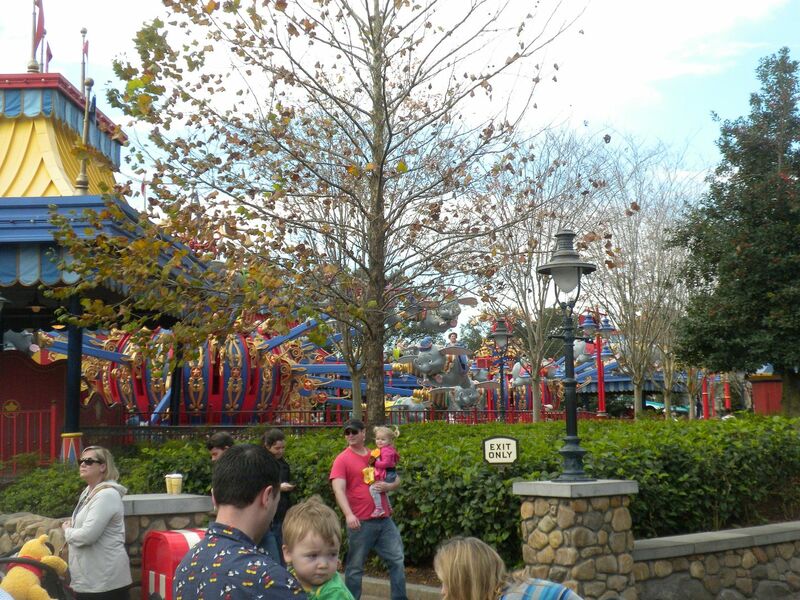 The new interactive queue is great – 2 rides. It’s A Small World: I like this classic ride better than I used to. I like identifying the countries and continents of the children – 1 ride. 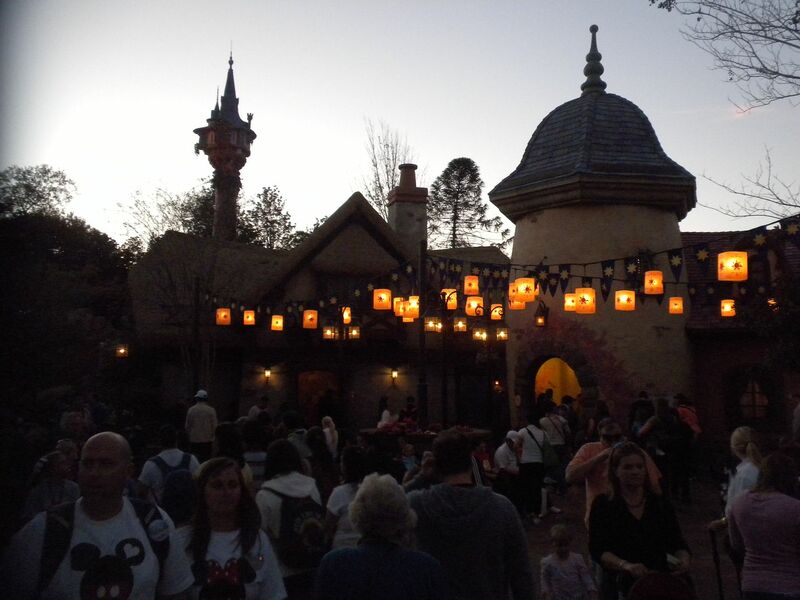 The Many Adventures of Winnie The Pooh: Although I miss Mr. Toad, we had a good ride – 1 ride. Prince Charming Regal Carousel: (PTC # 46, Classic Wood Carousel – 5 row: 90 jumping horses, 1917.) Original 4 chariots removed; outside horses converted to jumpers. 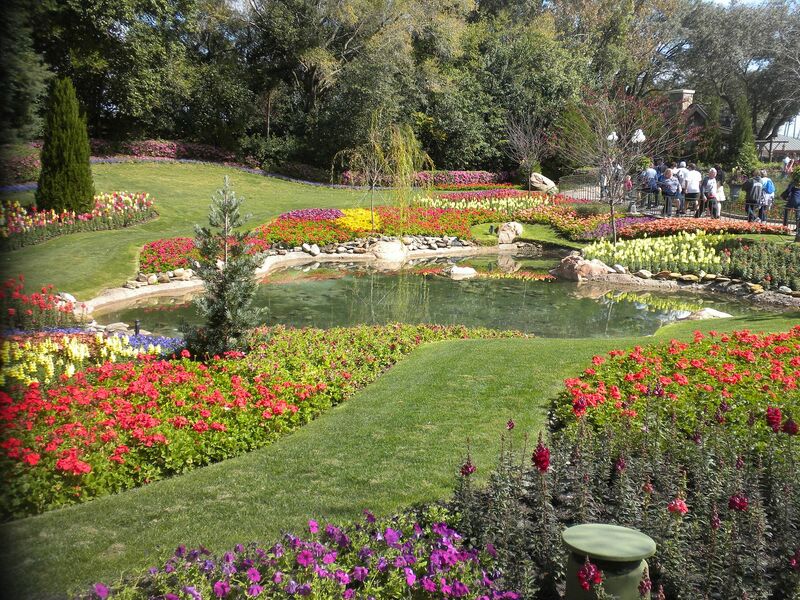 Located at Palace Gardens, Detroit, MI 1917-1928; Olympic Park, Maplewood, NJ 1928-1965; Walt Disney World Magic Kingdom, Lake Buena Vista, FL 1971 – present – 1 ride. Dumbo the Flying Elephant: This was my first ride on the dueling Dumbos. 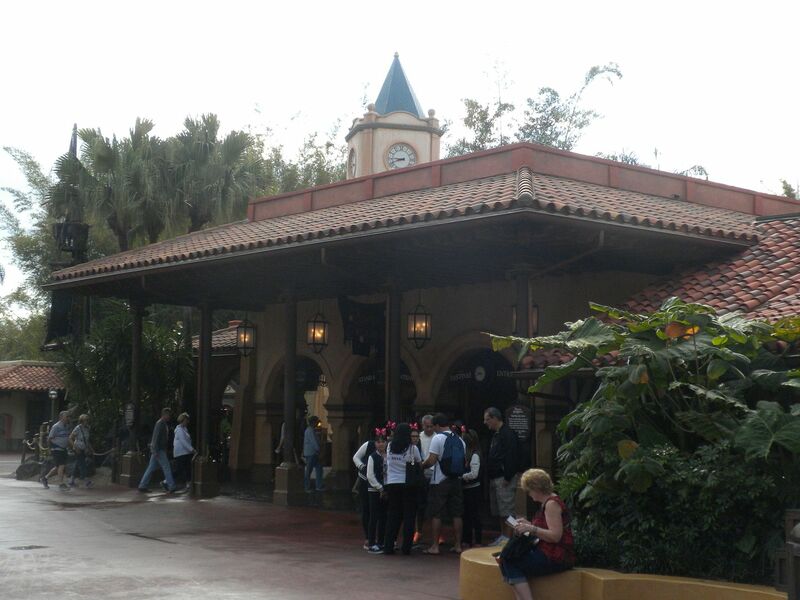 The queue is nice – 1 ride. 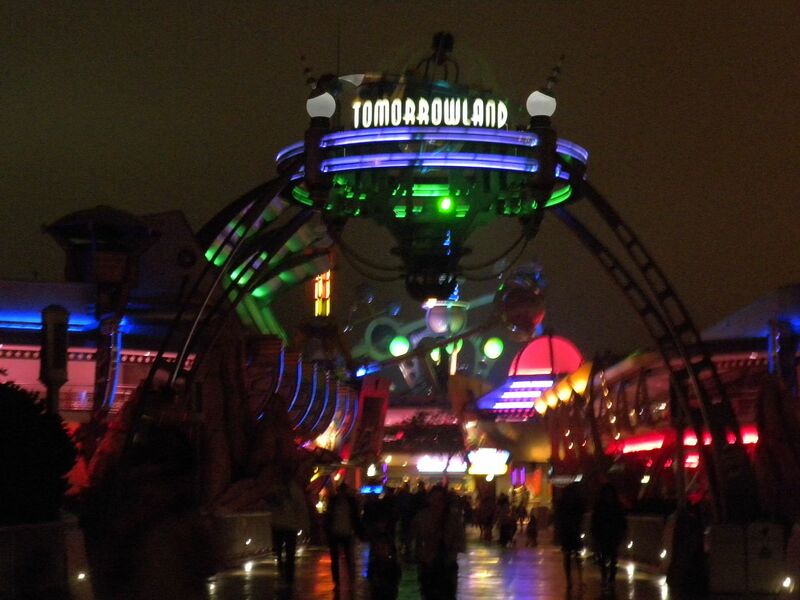 Mad Tea Party: I had good spinning – 1 ride. Walt Disney World Railroad: 1 trip to Main Street USA. 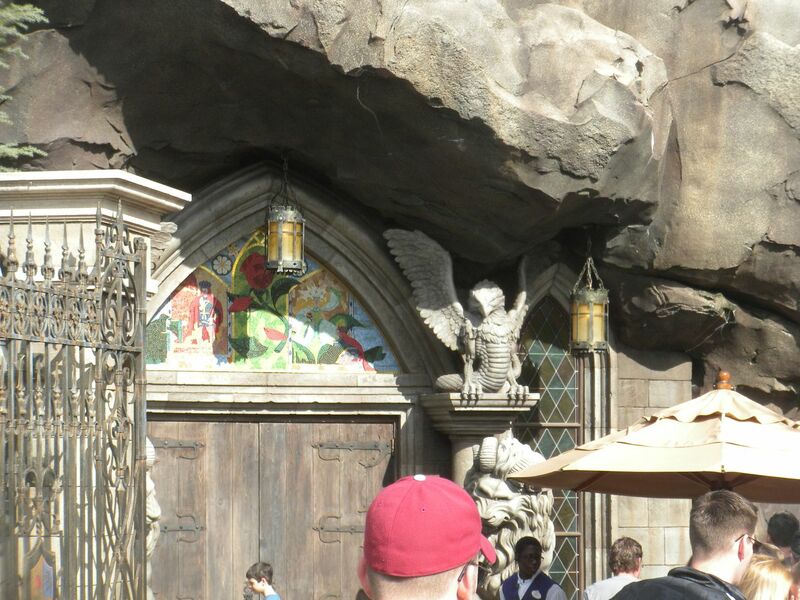 We had a great lunch at Be Our Guest Restaurant. While reservations are required for dinner, lunch is first come, first served. We arrived about 30 minutes before opening and got right in when they opened. You order electronically upon entering and then eat in one of the 3 dining rooms, where your order is served to your table. We had a delicious meal while watching snow fall outside the ballroom window. I highly recommend this for the experience. 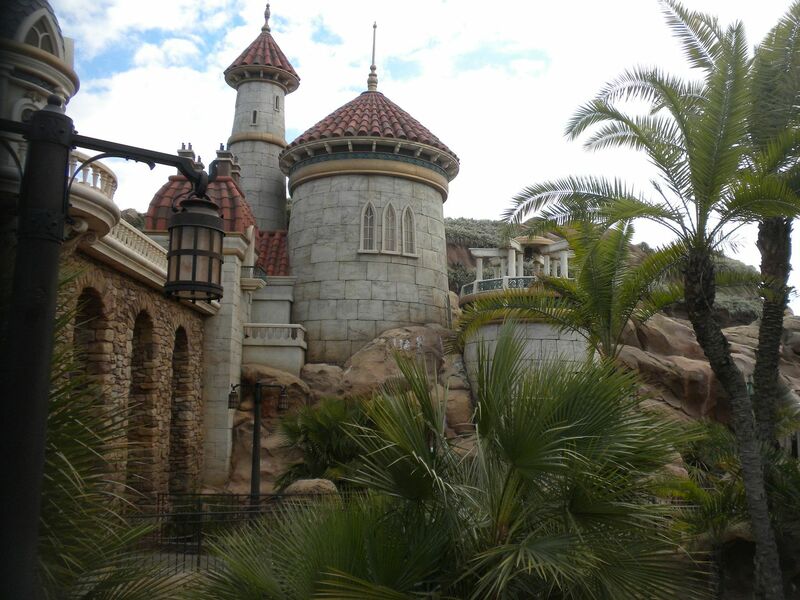 When I planned the trip for February, I was disappointed to learn that the new darkride, Under the Sea Journey of the Little Mermaid, would be closed for maintenance. Oh well, something to look forward to on a future visit. 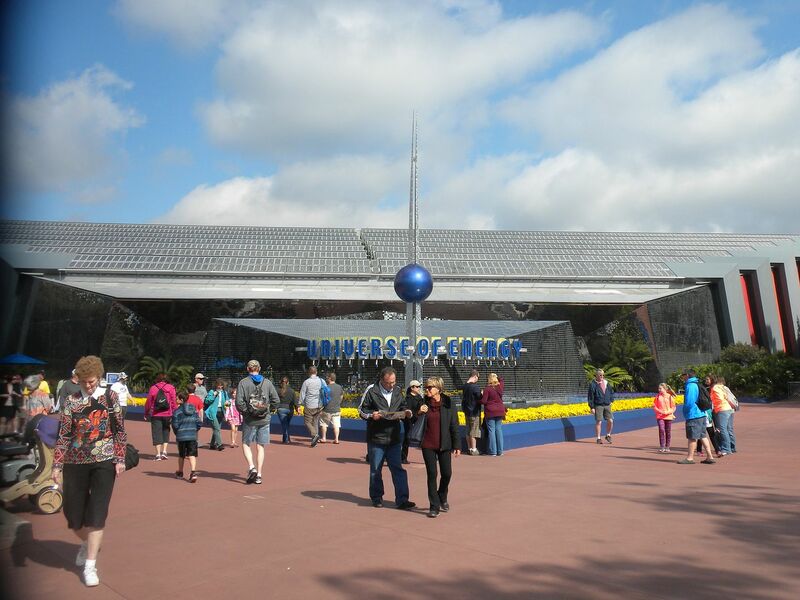 To stay futuristic this area has undergone more change over the years than most others, with many original attractions completely replaced. Space Mountain: (Walter Elias Disney, Enclosed Twin Steel Coaster, 1975): Always a fun ride, I got 3 rides on one side and 1 on the other – 4 rides. Buzz Lightyear’s Space Ranger’s Spin: This was the first interactive darkride and is always fun – 1 ride. 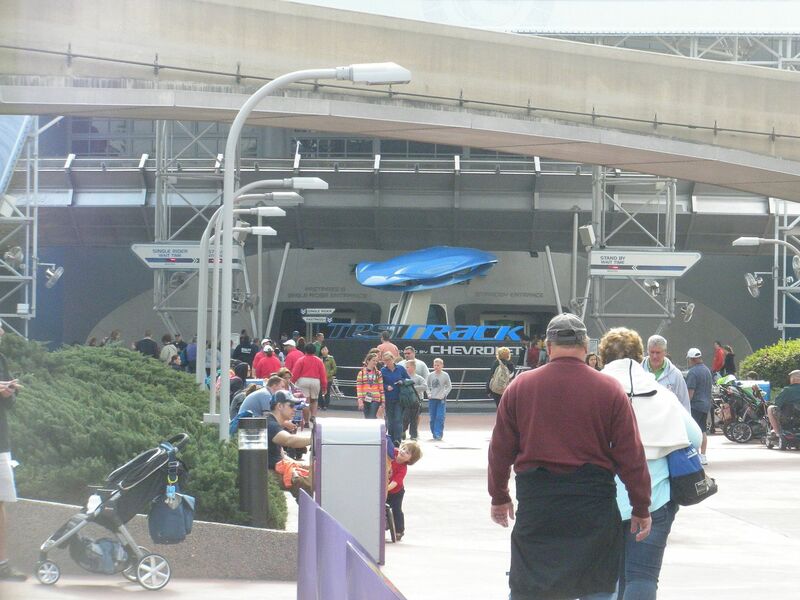 Tomorrowland Transit Authority PeopleMover: I am glad this has been retained and still shows Walt Disney’s never realized vision for EPCOT – 1 ride. Astro Orbiter: It was raining when I rode, but I got it in – 1 ride. Tomorrowland Speedway: I am glad they still have this attraction, although it is the least futuristic thing in this section – 1 ride. Walt Disney’s Carousel of Progress: One of my favorite attractions, it is interesting to see how they have updated the present day portion – 1 show. Stitch’s Great Escape: Not one of my favorite attractions, I still got it in – 1 show. Monsters Inc. Laugh Floor: Probably my least favorite attraction at the Magic Kingdom – 1 show. 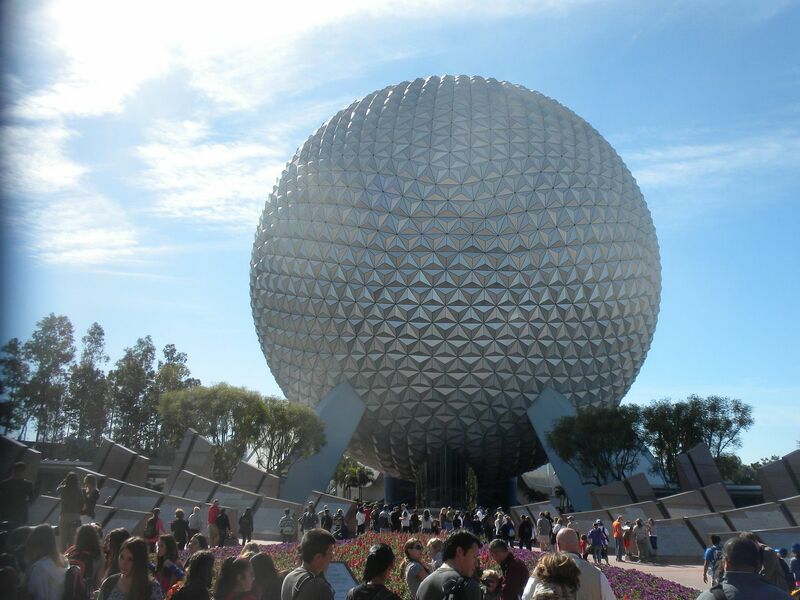 We went to EPCOT on three separate occasions, arranged around dinner reservations, and we got in the various attractions at those times. This section’s attractions have changed a good bit through the years. 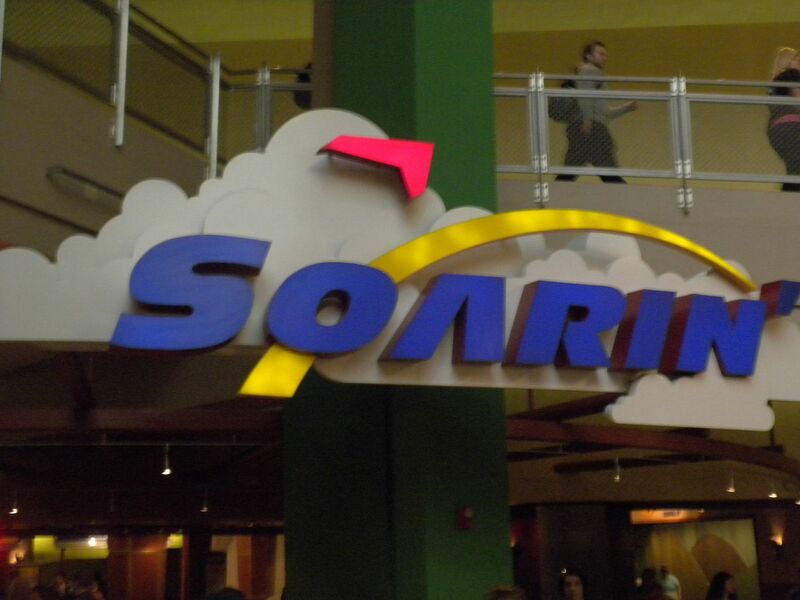 Soarin’: My mother’s favorite ride, we used a Fast Pass, Extra Magic Hour and waiting in line to get in 3 rides on this unique attraction. 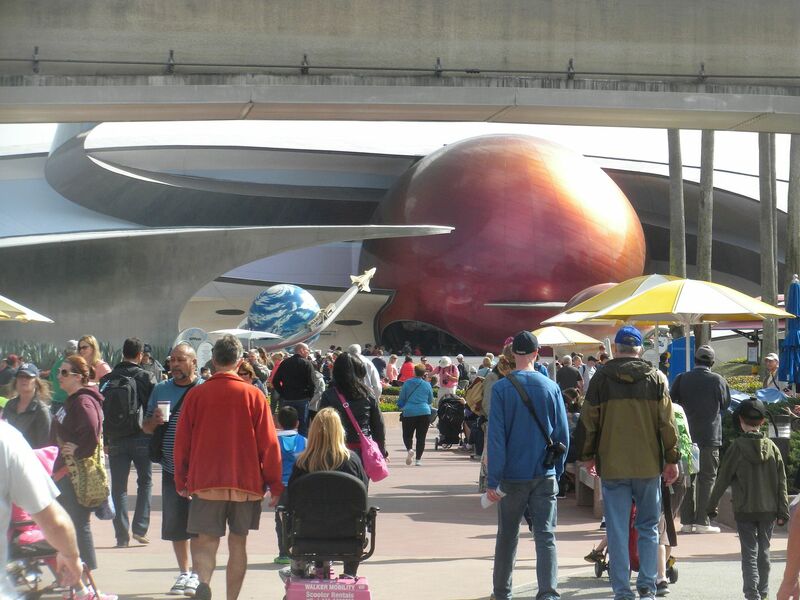 Mission Space: I did the more intense ride – 1 ride. 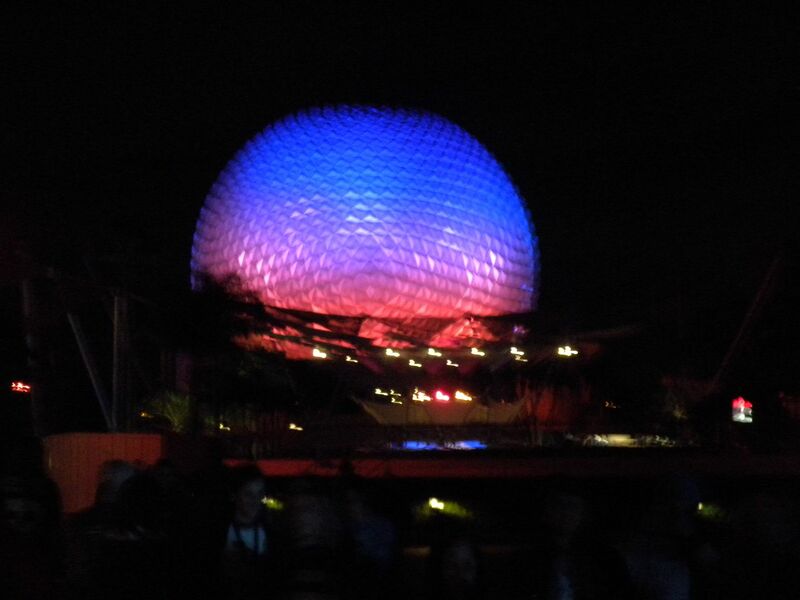 Spaceship Earth: This is a great darkride on the history of communication. We got stuck in the Renaissance for a while, but they finally got it going – 1 ride. 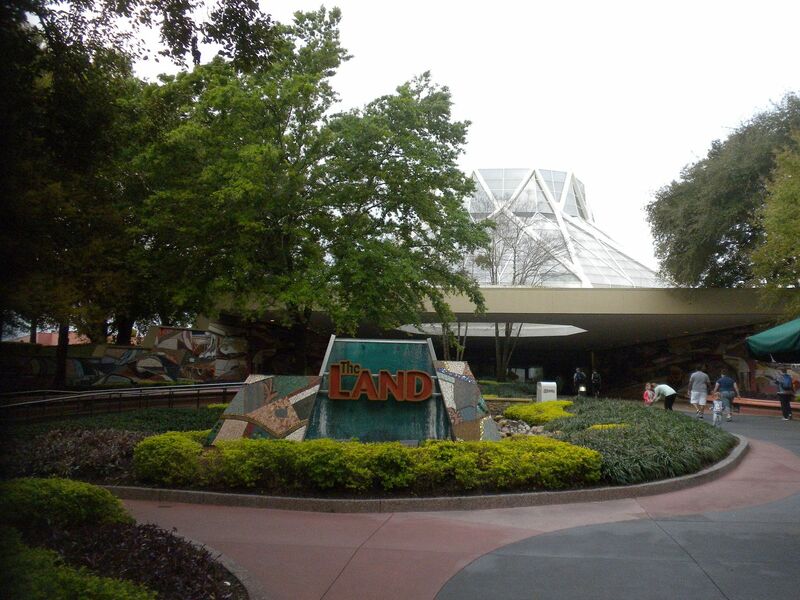 Living with the Land: One of the original attractions, this boat ride is good and allows you to see things growing – 1 ride. The Seas with Nemo & Friends: This ride has been updated with Nemo – 1 ride. 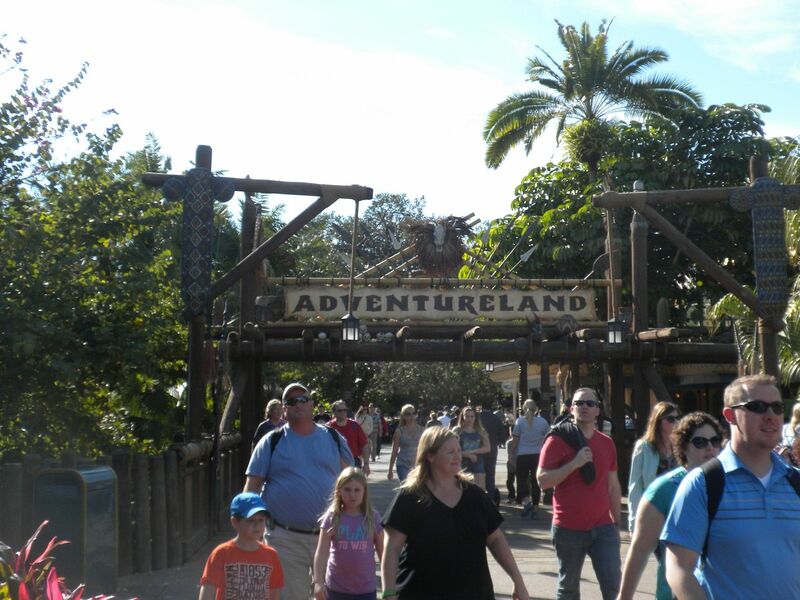 Ellen’s Energy Adventure: This ride was interesting when I first rode it as the entire seating area travels through the ride. It has been updated with Ellen since I last rode – 1 ride. Journey Into Imagination with Figment: It has been a while since I rode this – 1 ride. 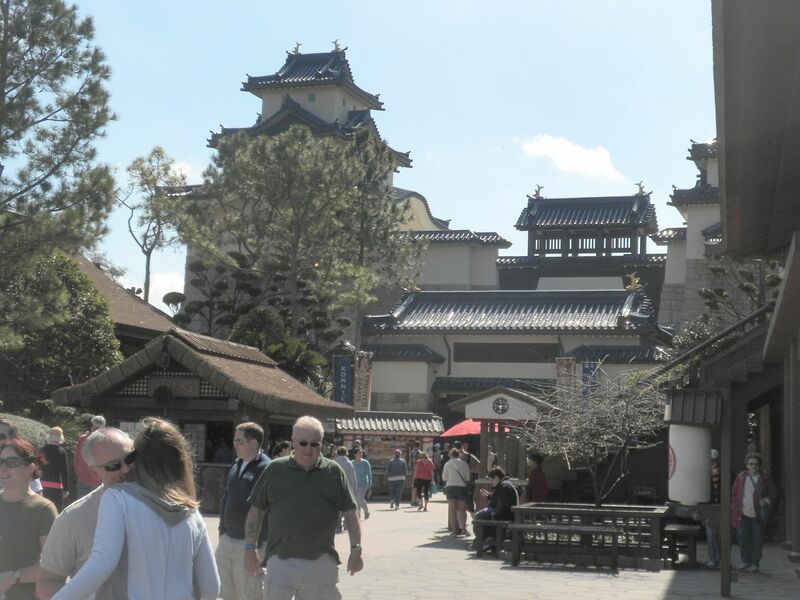 What I like most about EPCOT are the country pavilions and especially the food from each country. We narrowed our food selections to 3 choices. The architecture of this section is very realistic. 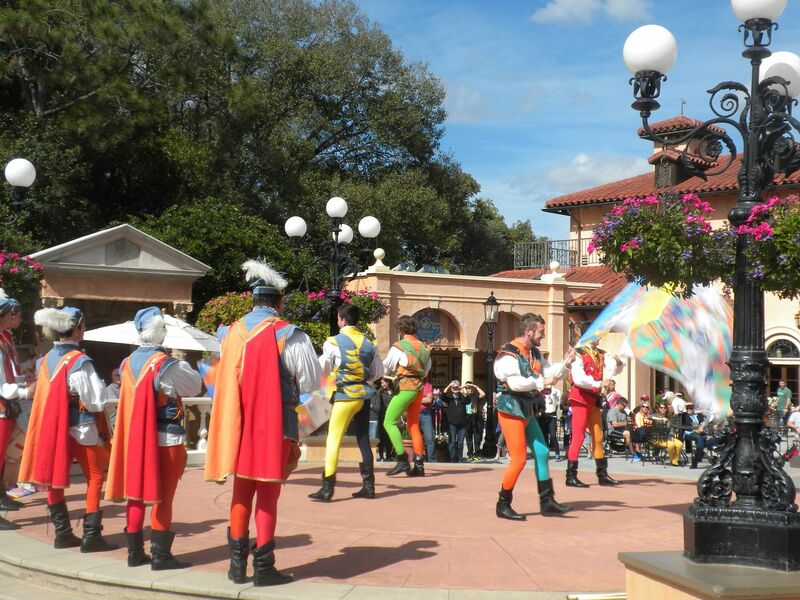 Sbandieratori Di Sansepalaro: We were in the right place to see this outdoor show, which was colorful and good – 1 show. 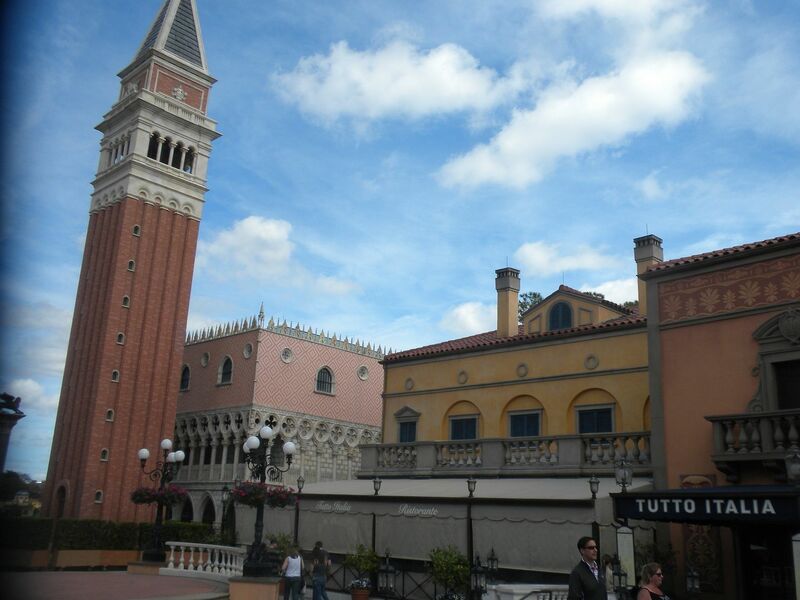 We had a delicious lunch at Tuttto Italian Restaurant, which I highly recommend. While this section is mainly just one building, the show is quite impressive. Voices of Liberty: This group of singers is very good and the theater lobby has great acoustics – 1 show. The American Adventure: This show is a tremendous tribute to our great country, and I enjoy it every time I see it – 1 show. American Heritage Gallery: This art gallery is interesting while awaiting the show – 1 walkthrough. 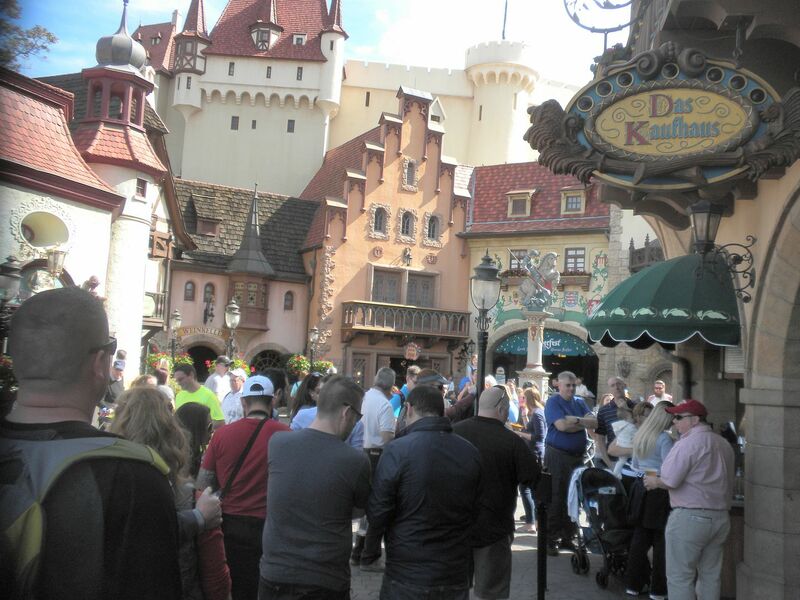 Having been to Germany recently, I enjoyed the stores and architecture. Train Exhibit: This train exhibit is always fun – 1 viewing. 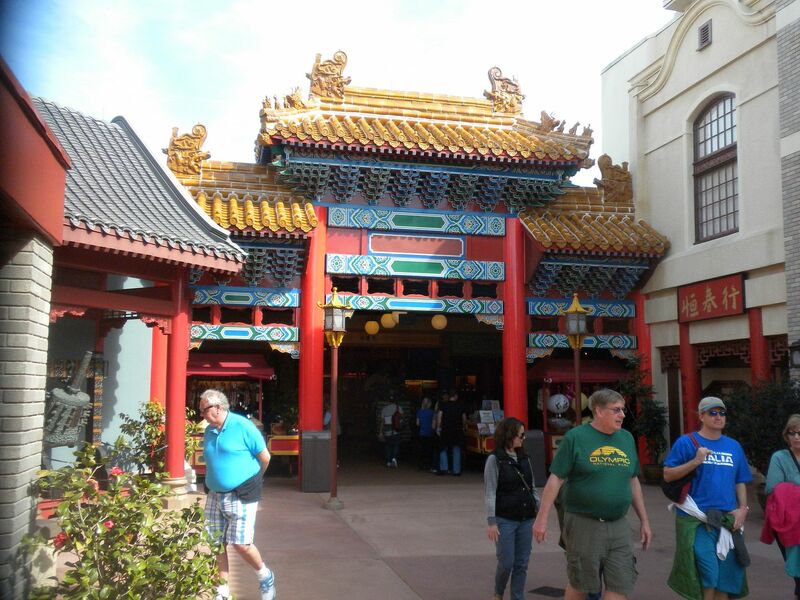 This pavilion is a good representation of Chinese architecture and culture. 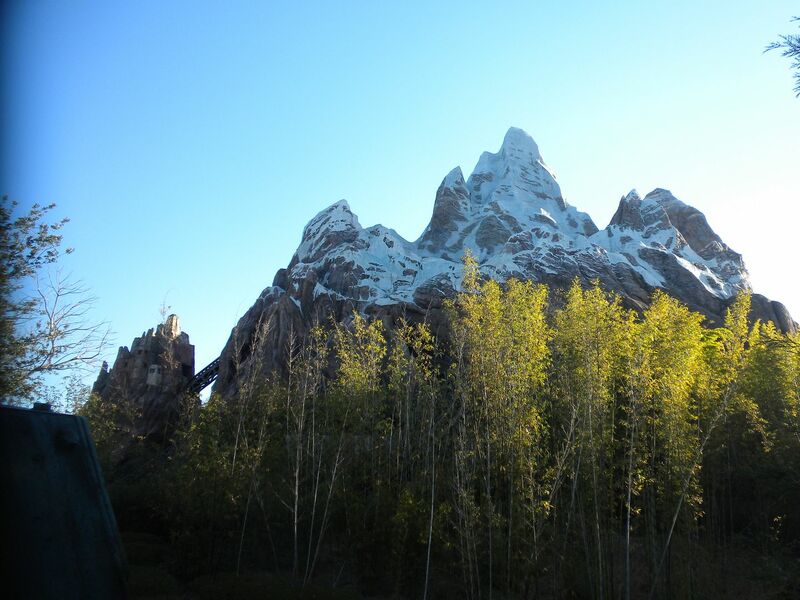 Reflections of China: This 360 degree movie was updated from the last time and was good – 1 show. House of the Whispering Willows: While I have seen the more complete Terra Cotta Soldier exhibit when it was in Atlanta at the High Museum, I enjoyed walking through this exhibit – 1 walkthrough. This pavilion is unique in that it is indoors and therefore the climate and time of day (evening) are always controlled. It has always been among my favorite pavilions. Gran Fiesta Tour Starring The Three Cabaleros: While largely redone since I last rode, I enjoy this boat tour of Mexico, and I love how it interacts with the main restaurant, WDW’s answer to Disneyland’s Pirates of the Caribbean restaurant – 1 ride. 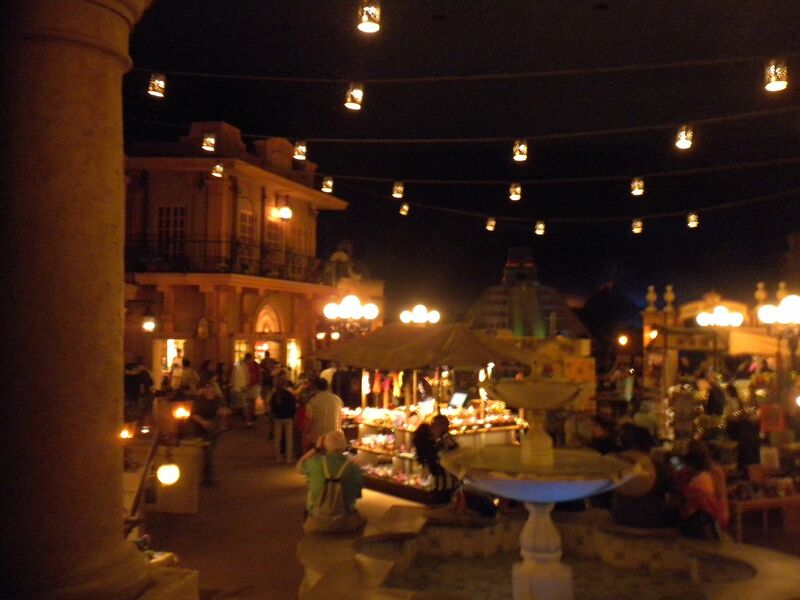 We had an excellent dinner at San Angel Inn with the wonderful atmosphere of the Mexico pavilion. While all our meals at EPCOT were very good, I believe this was the best. We stopped by this pavilion, but there is little to see as its main attraction is getting a Frozen theme. This section’s main attraction is a 360 degree movie. O Canada: This show has been redone since I last saw it and it was good – 1 show. I especially enjoyed looking around in this section’s stores as I will be visiting the U.K. this summer. Time did not permit but a brief walkthrough of this pavilion, but I would love to spend more time here as its architecture and shops are fascinating. I also had to make a quick pass through this pavilion with hopes of spending more time on another visit. but can never get to. 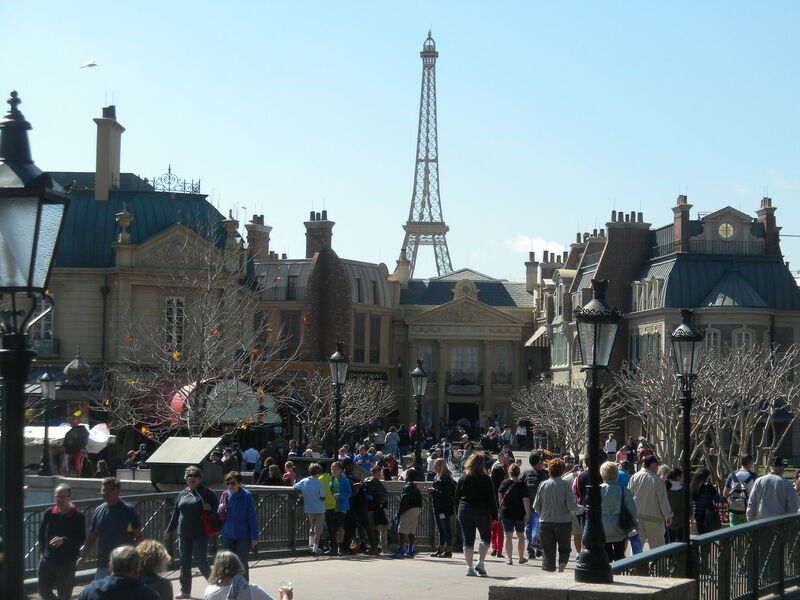 Impressions de France: This 180 degree movie is good – 1 show. Serveur Amusant: This acrobat balancing show was good while we waited for our reservation – 1 show. We had a delicious lunch at Las Chefs de France. 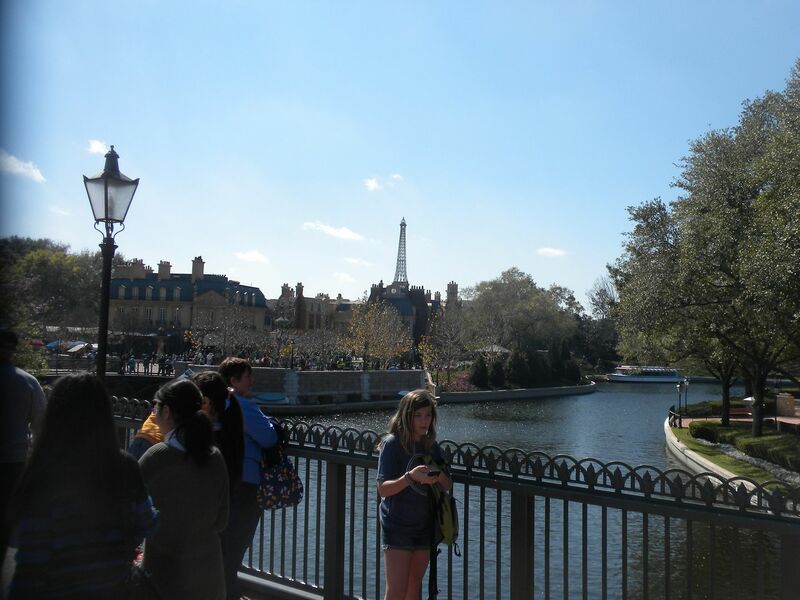 We had an Extra Magic Hour our first morning and lunch reservations at EPCOT, so we only had about 3 hours here. While it has 2 outstanding attractions, this is my least favorite of the parks, so we didn’t get back after our morning here. 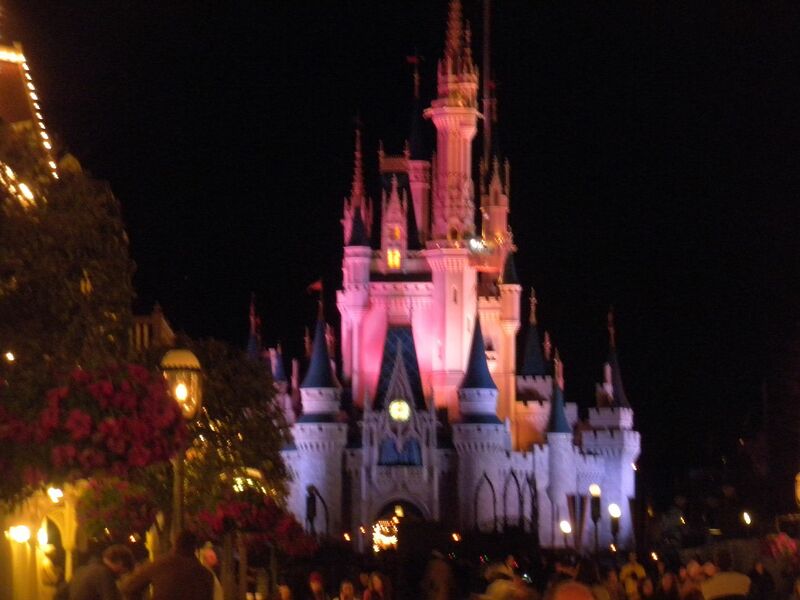 I opted to stay at the Magic Kingdom the Extra Magic Hour evening here. This is a great ride. From the launch to the intense elements, I would have liked to have ridden it more – next time – 1 ride. 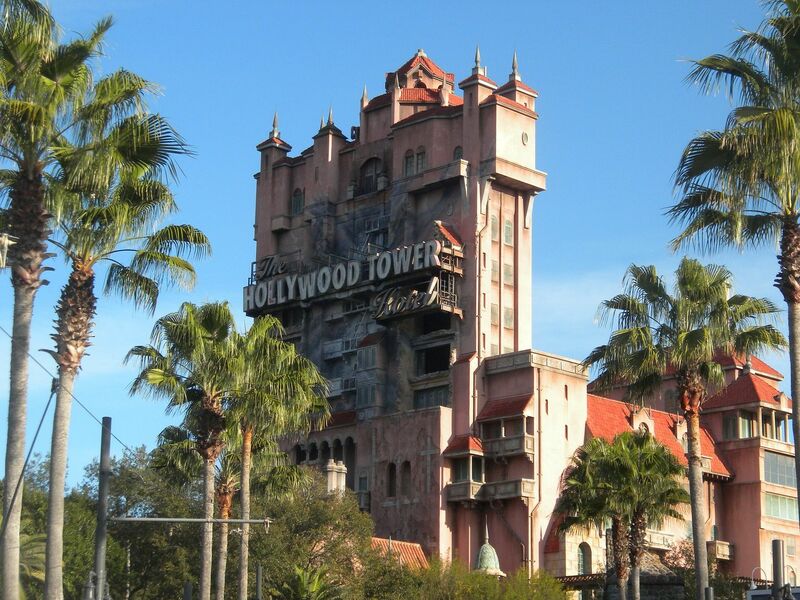 The Twilight Zone Tower of Terror: This is among my favorite drop rides. I got a solo ride – 1 ride. 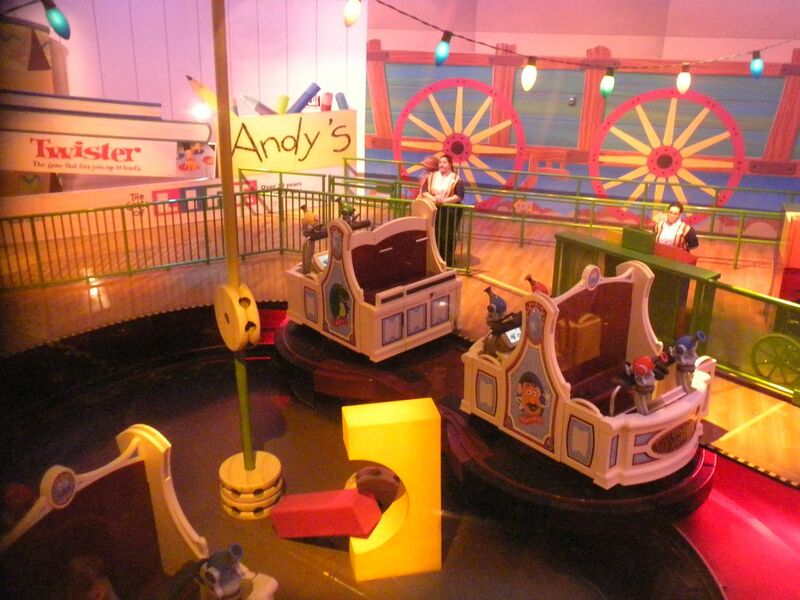 Toy Story Midway Mania! 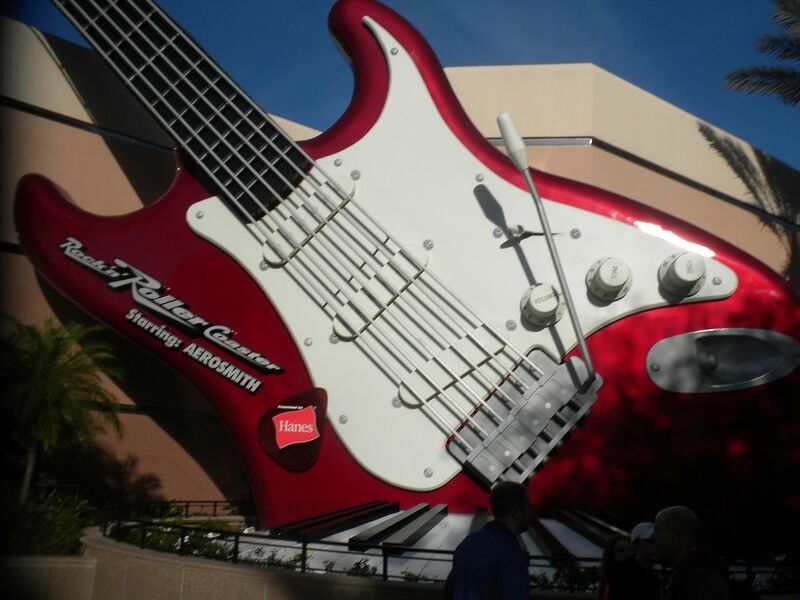 : Having ridden this at California’s Disney Adventure, I was glad to ride this version. What a great concept! – 1 ride. 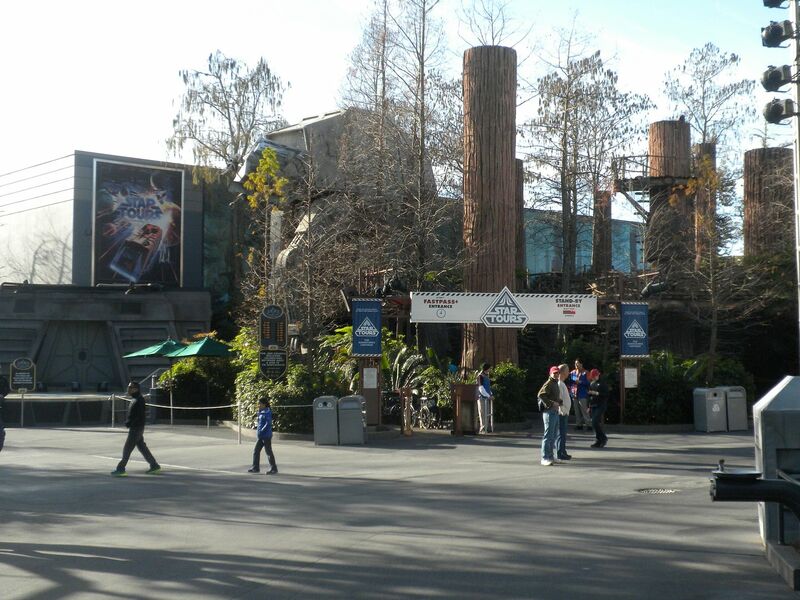 Star Tours – The Adventures Continue: I enjoyed this – 1 ride. 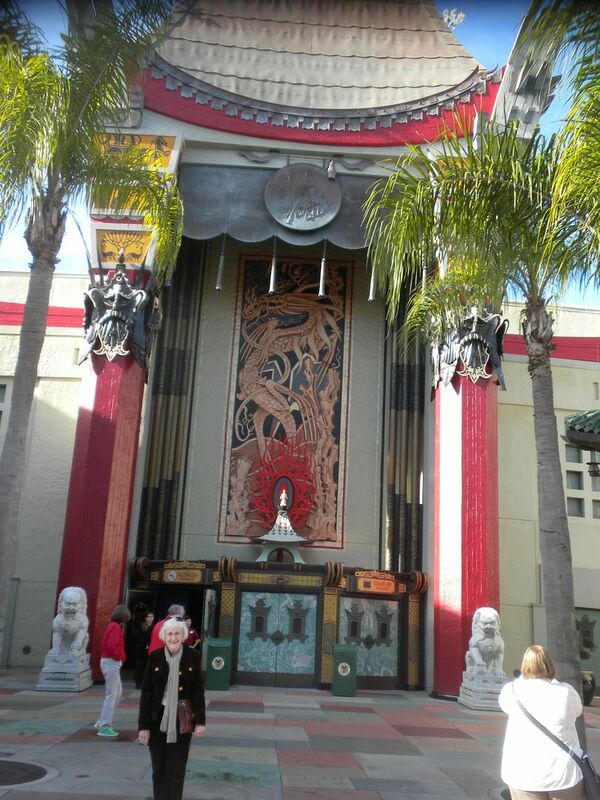 The Great Movie Ride: This is a fun ride, identifying the various movies – 1 ride. Walt Disney: One Man’s Dream: I really enjoyed this as I have much respect for Walt Disney – 1 show. I did not make it on this trip into the sixth themed section, Streets of America. 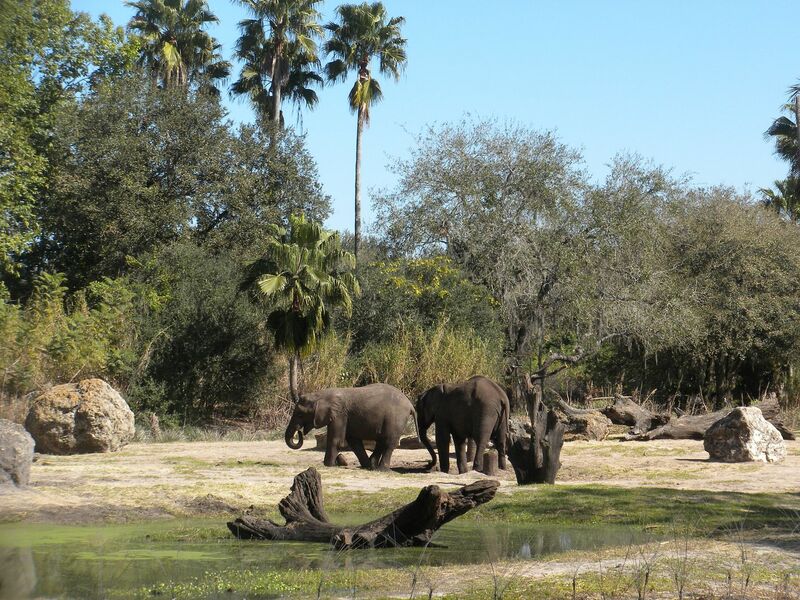 Although this park has a similar number of attractions as Disney’s Hollywood Studios, the addition of the animals along with exquisite theming make this a park I always enjoy. I was able to spend an Extra Magic Hour, the morning and most of the afternoon here. 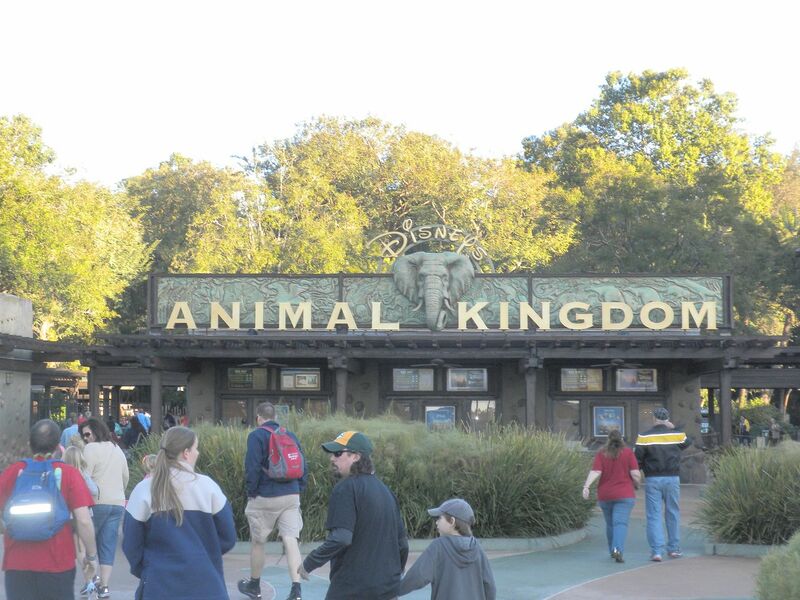 This entry section has several animal exhibits. 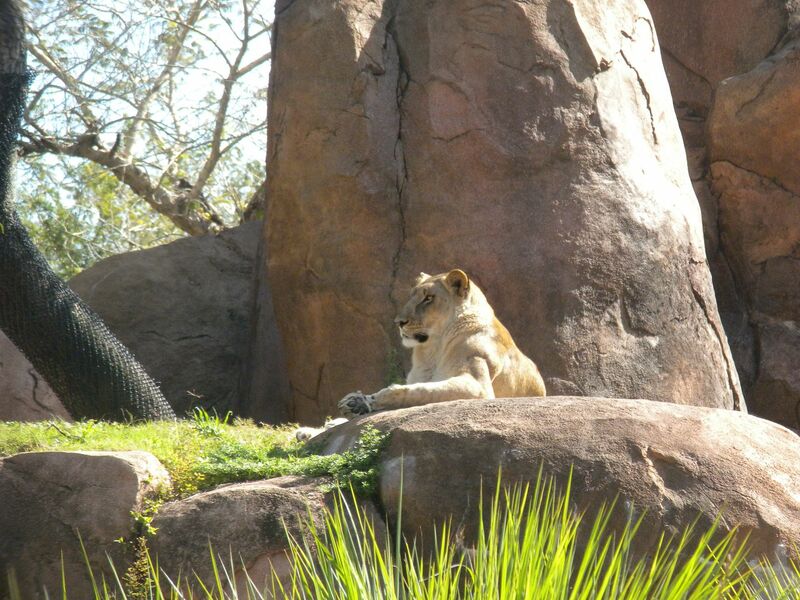 The Oasis Exhibits: I walked through and viewed several animal exhibits – 1 walkthrough. 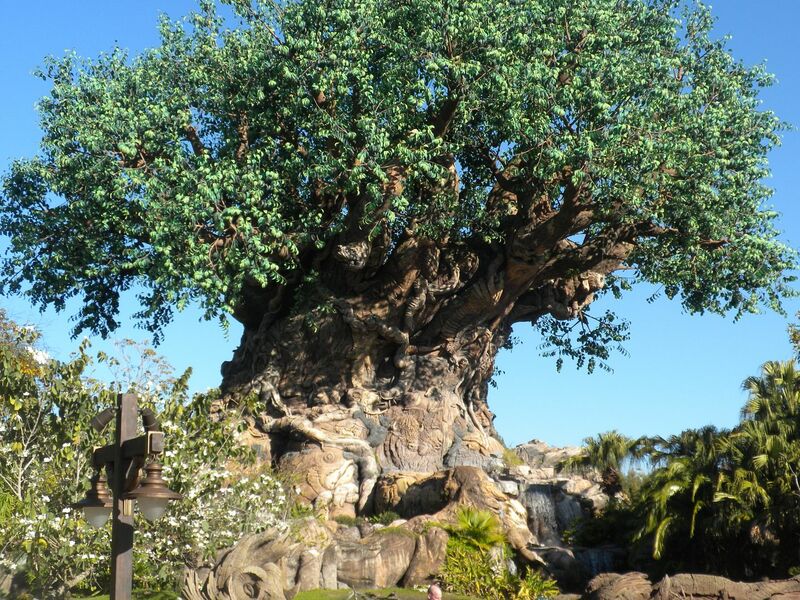 The Tree of Life is at the center of the park and this section. It’s Tough To Be a Bug! : This is a fun show – 1 show. 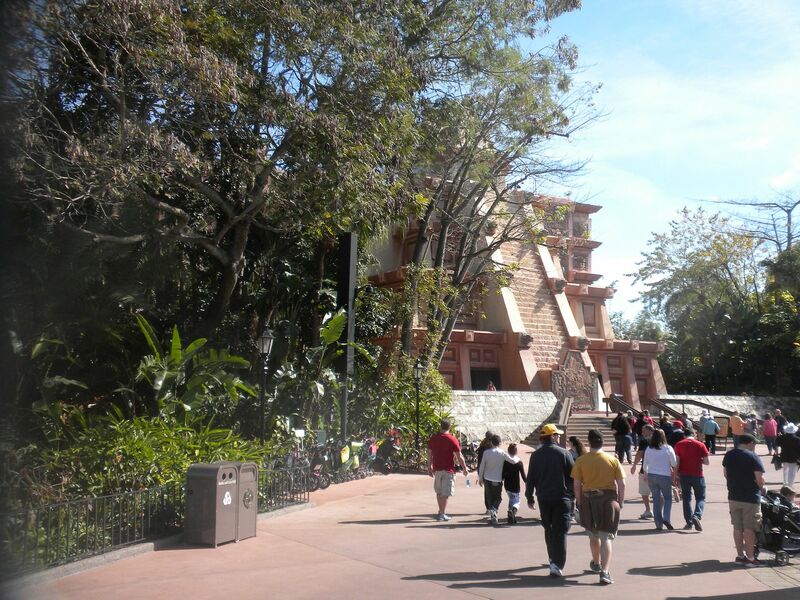 Discovery Island Trails: I walked along these trails around the Tree of Life – 1 walkthrough. this section is very nicely themed. 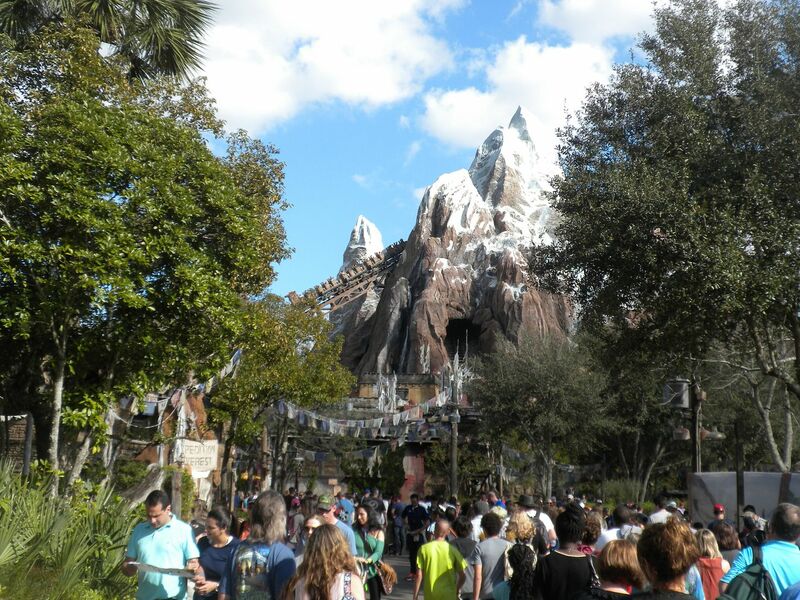 Expedition Everest – Legend of the Forbidden Mountain: (Vekoma, Steel Coaster with Reverse Section, 2006) My favorite of the Disney coasters, this gives a great ride – 3 rides. 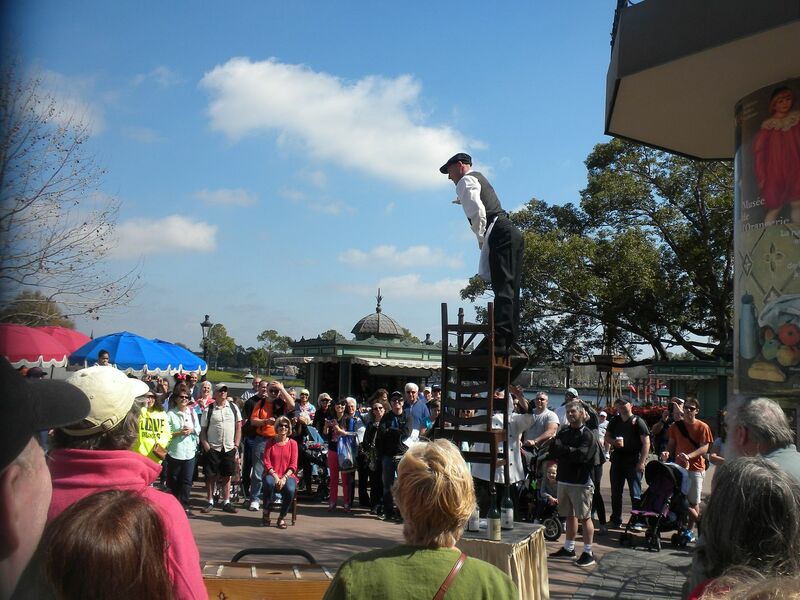 Wings of Flight: This bird show was good – 1 show. The Dinosaur theming is well done here. 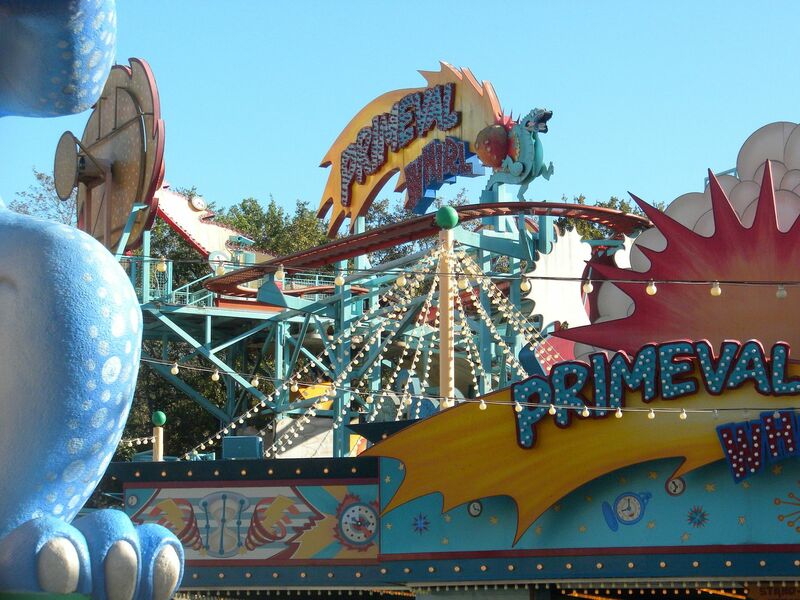 Primeval Whirl (right side): (Reverchon, Spinning Wild Mouse, 2002) I only got to ride one side, although I have ridden both before – 1 ride. 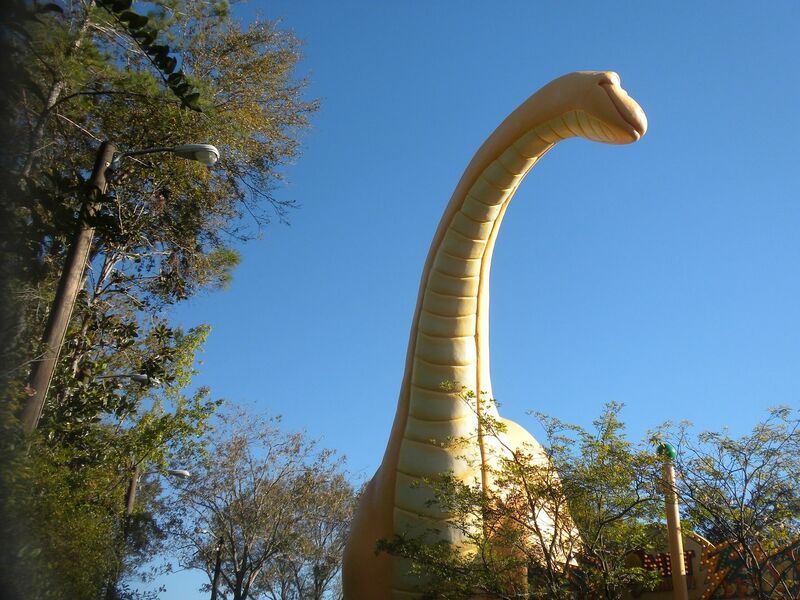 DINOSAUR: This is a good ride – 1 ride. TriceraTop Spin: My mother and I rode this although our cycle was cut short due to a malfunction. We opted not to wait around for a reride – 1 ride. Finding Nemo: This is an unusual show with puppet fish operated by visible puppeteers – 1 show. We had lunch at Restaurantosaurus. 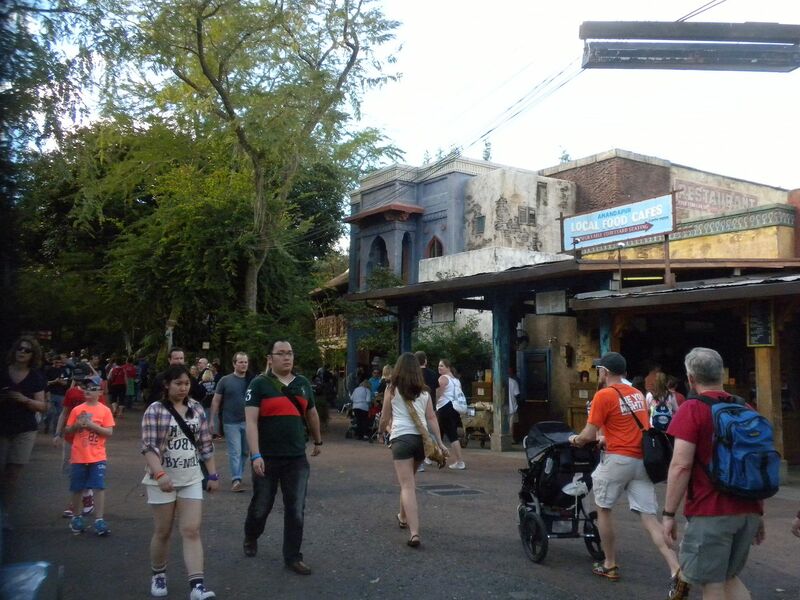 In terms of theming, this is my favorite section of this park as it effectively evokes the feel of an African village. 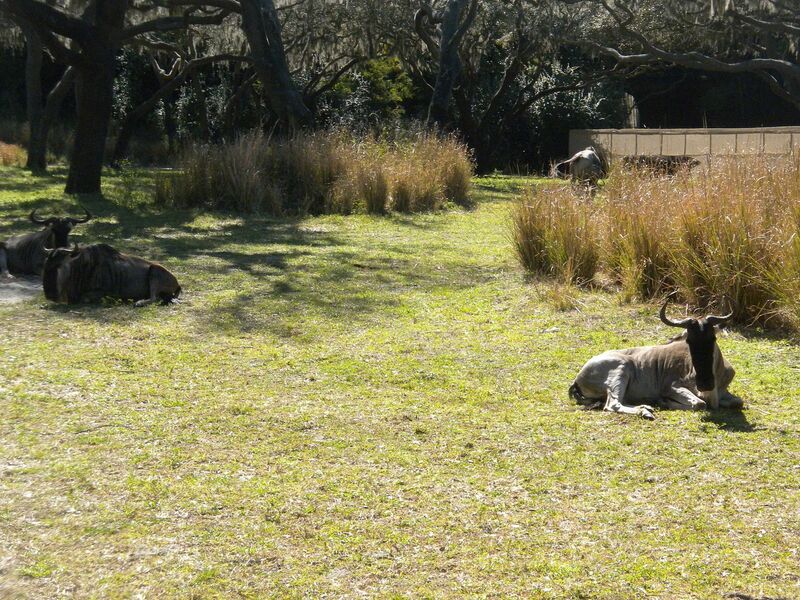 and wildebeest – 1 ride. 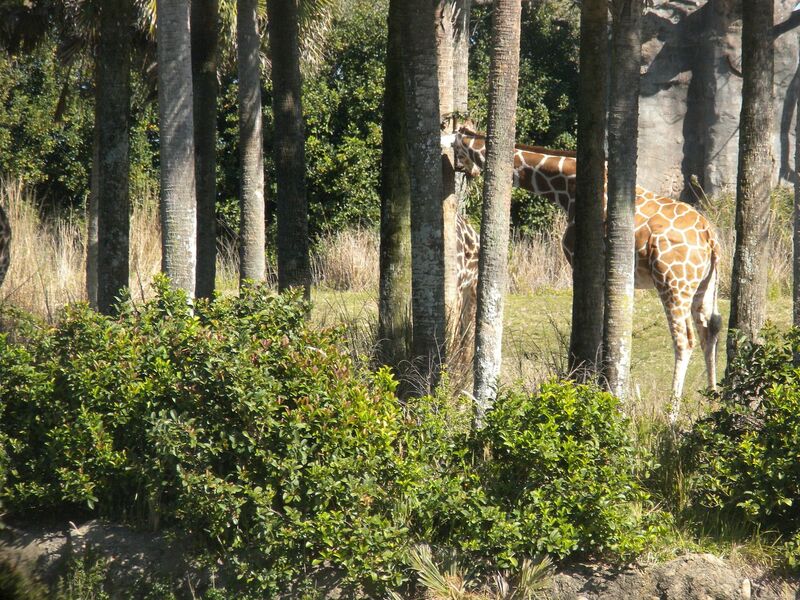 Wildlife Express Train: 1 ride to Rafiki’s Planet Watch. Pangari Forest Exploration Trail: I walked through this trail – 1 walkthrough. Festival of the Lion King: This is a nicely done and colorful show – 1 show. This section is only accessible by train and allows you to see behind the scenes as they care for animals. Conservation Center: I saw an operation in progress on a horny toad – I hope it went well – 1 walkthrough. 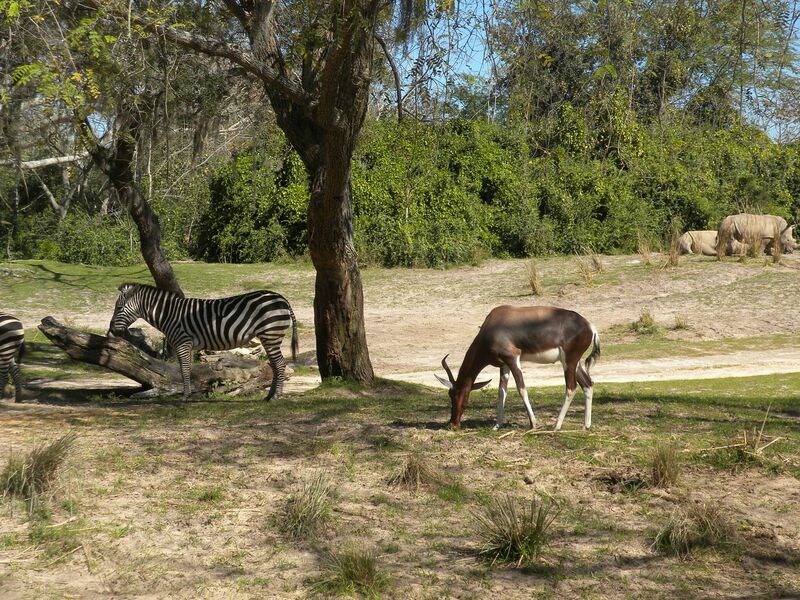 Wildlife Express Train: 1 ride to Africa. The Polynesian is undergoing a renovation which made it a little different with a few inconveniences, but it also made it a little less expensive, so that was fine with me. The biggest change so far is in the lobby which no longer has the big floral area in the middle. I’m sure everything will look very nice after the renovation. We returned home after 3 and half days of Disney magic, tired, but with a wealth of memories.